For some people, they live to eat. 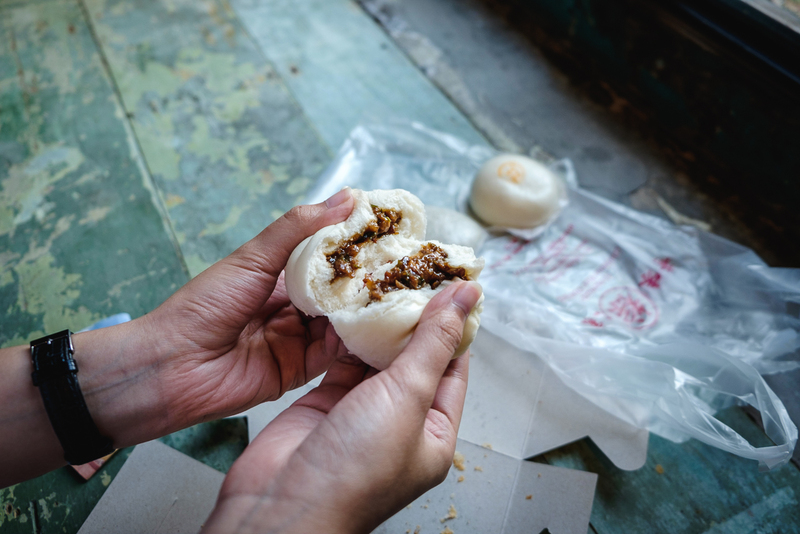 For most people, food is one of the biggest concerns when traveling. Am I right? Are you one of them? 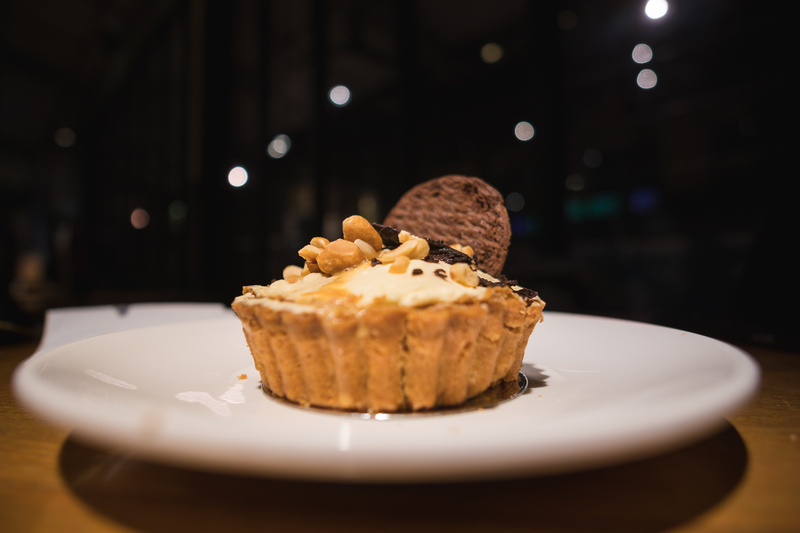 This is one of the ‘nervous’ parts when writing a travel blog, the foodie part. I’ll try my best to share everything we eat in Ipoh. 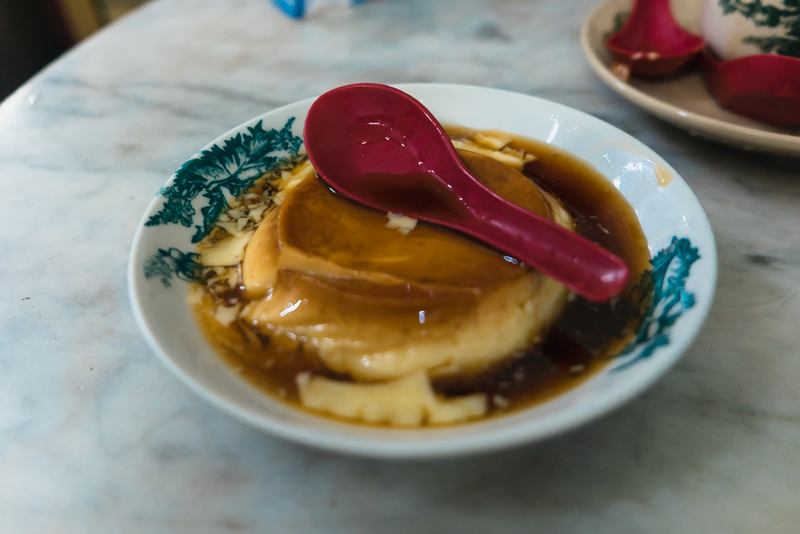 Here it is, the one and only Ipoh Culinary Journal. 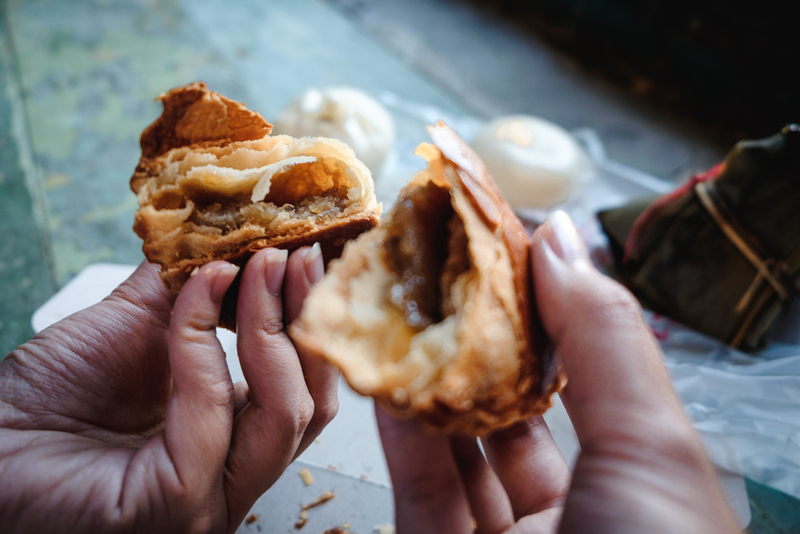 If you been following our story from Ipoh from the very first beginning, part 1, part 2, and part 3, you’ve seen a lot of foods from Ipoh. 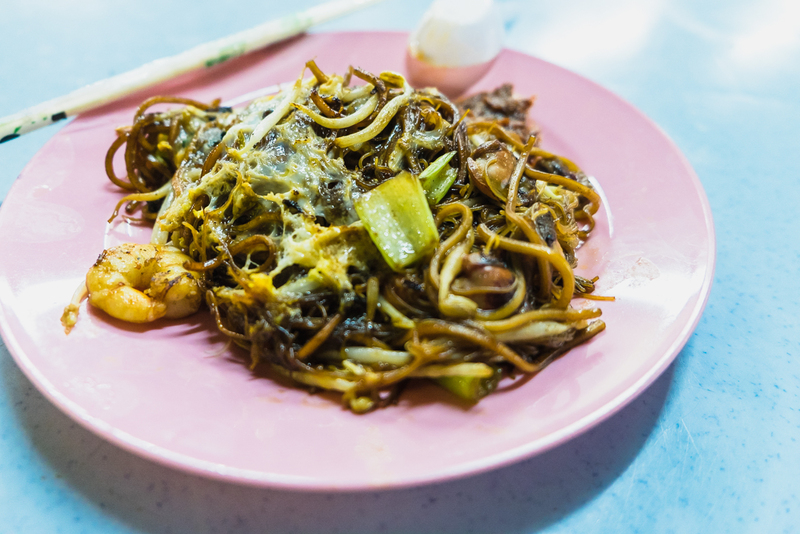 Just like everywhere in Malaysia, the local food here is dirt cheap, like real cheap. That’s one big plus! 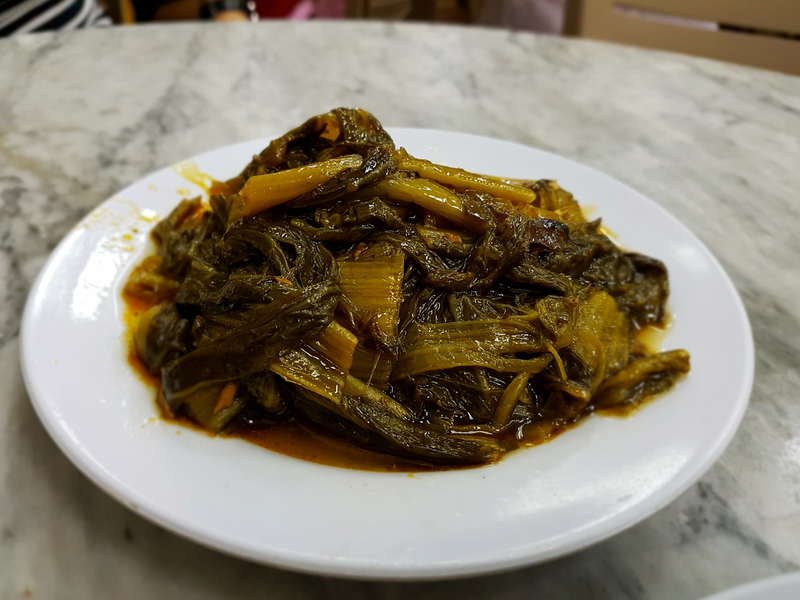 Another thing, a lot of Malay food is similar with Indonesian. Which is why we tend to enjoy and feel like ‘something homey’. 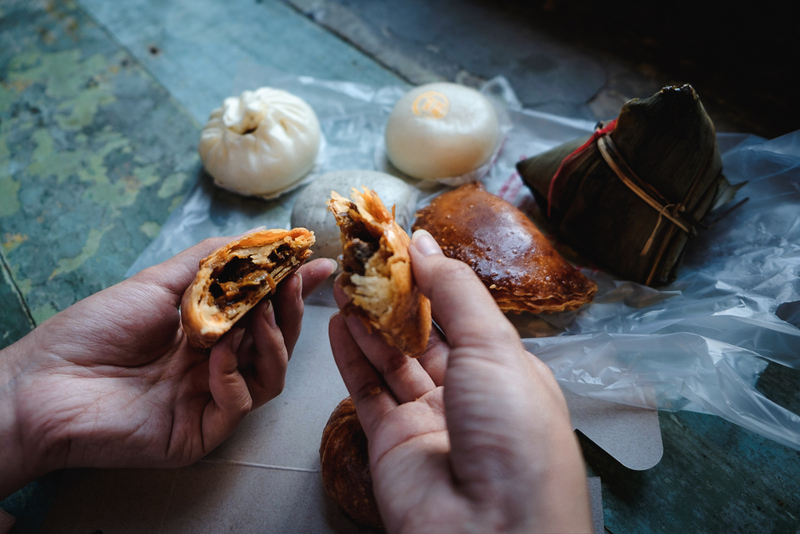 We always tried to eat a variety of local foods whenever we’re traveling. Talking about satisfying the taste bud. For the sake of Ipoh, I will just skip the food we had at KL Sentral when waiting for the train to Ipoh. It’s not a great one anyway, I’ve shared it on the journal. It’s neglectable, let’s just jump to the real deal. 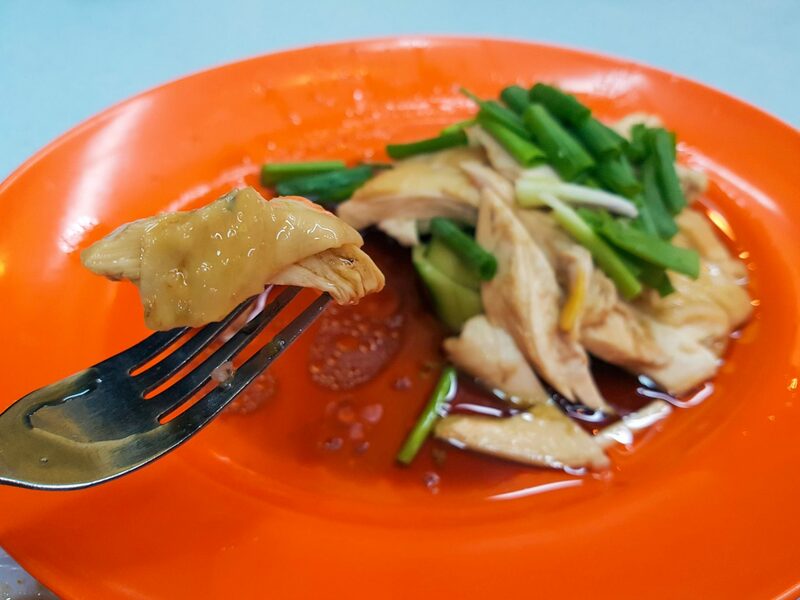 This is our first impression of one Ipoh famous local food, the chicken and bean sprouts. 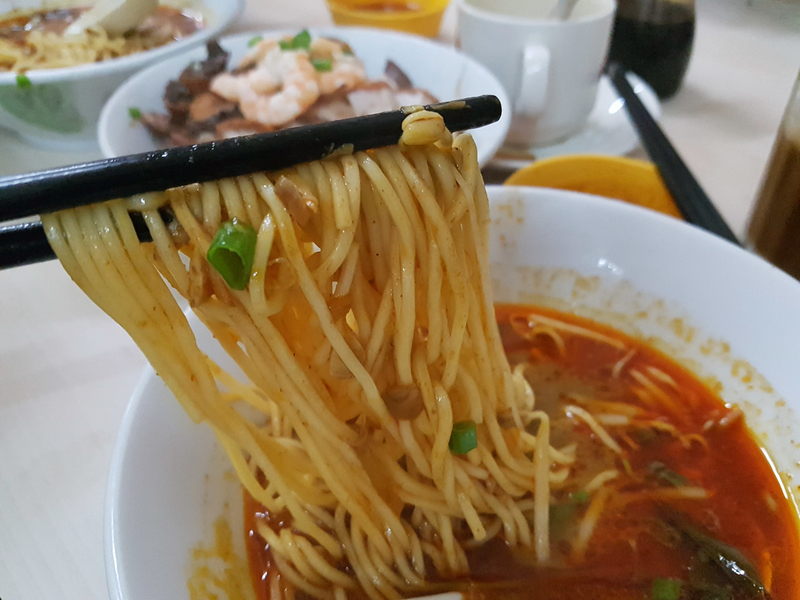 We’re eating this at Lou Wong Restaurant, which proudly claims to be the most famous purveyor of the local specialty chicken and bean sprouts. There are multiple locations of this restaurant. The one we had that night was located just behind where we stayed, Container Hotel. 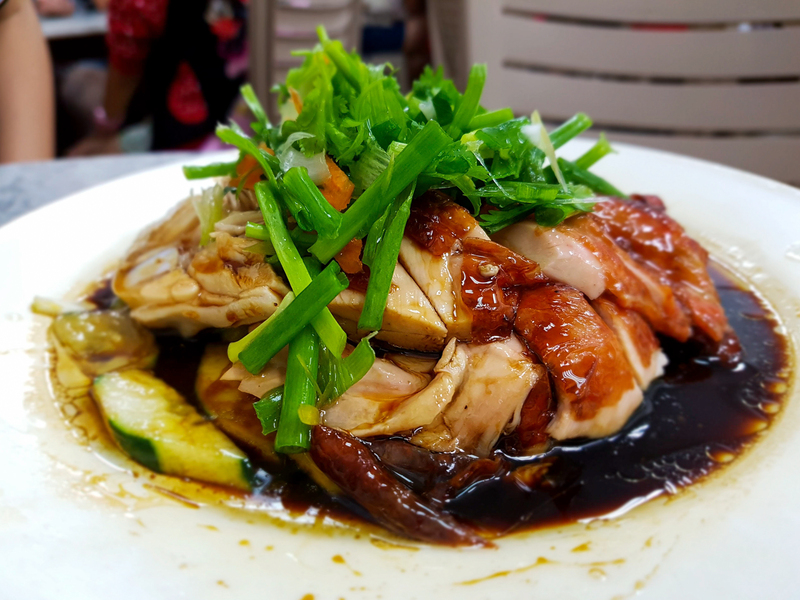 Of course, we had what they’re famous for, chicken with boiled bean sprouts served with soy sauce, sesame oil, and Hainan rice. 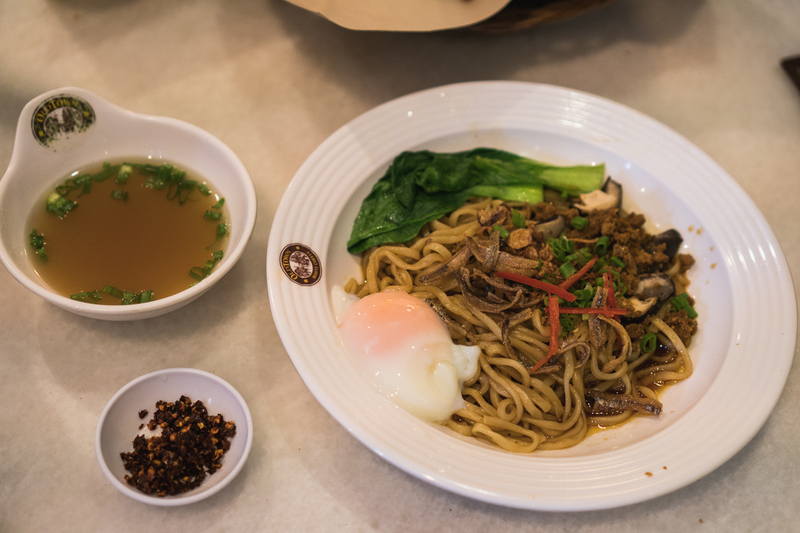 You can opt for noodle. Also ordered one portion of fish ball soup. On this one, I’m afraid I’m a bit biased. It’s because I love chicken with soy sauce and Hainan rice, plus I was kinda starving that time. But heck yeah, it’s a very good one. 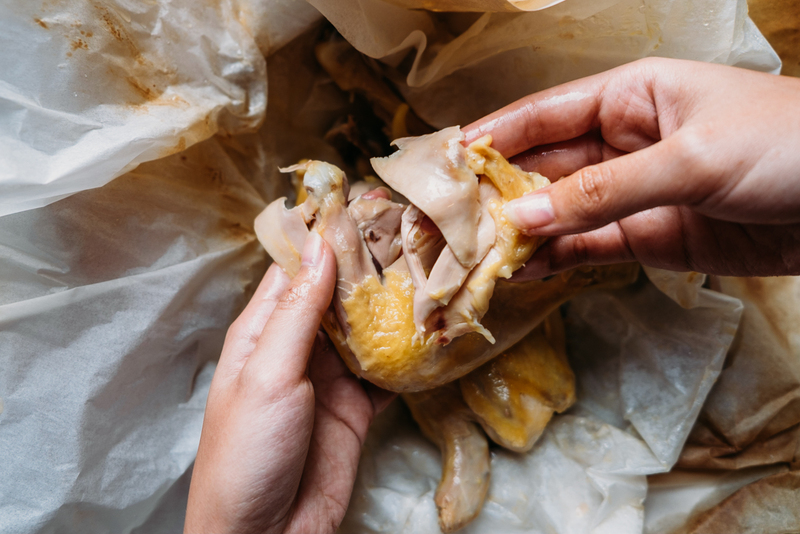 The chicken is tender, salty, and big enough to make this mouth occupied for quite a while. 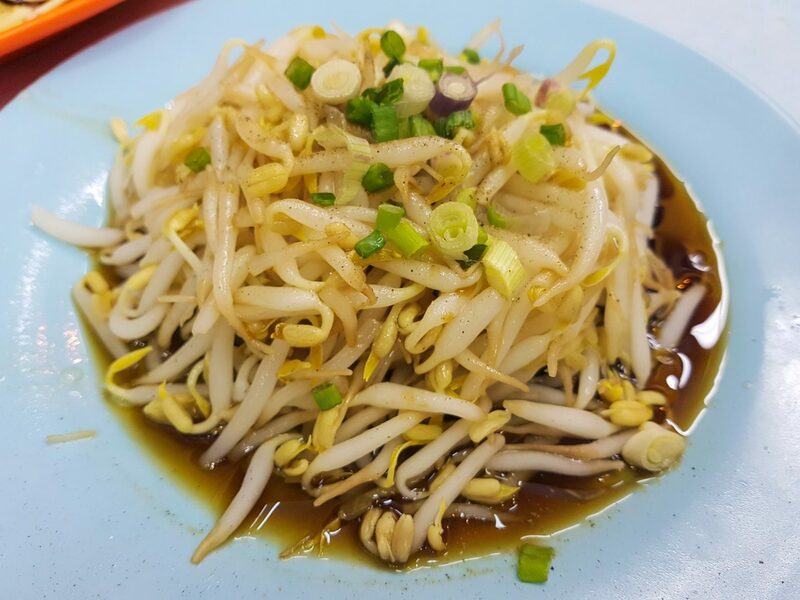 The complementary that makes it special, the bean sprouts, that’s the one kinda makes it ‘complete’. It’s basically just fresh beansprout watered with soy sauce, seasoned with salt and pepper, plus some chopped scallions. Fish ball soup? A-okay. Open: 10 a.m. – (around) 9 p.m. Spent: RM 31 for two persons. 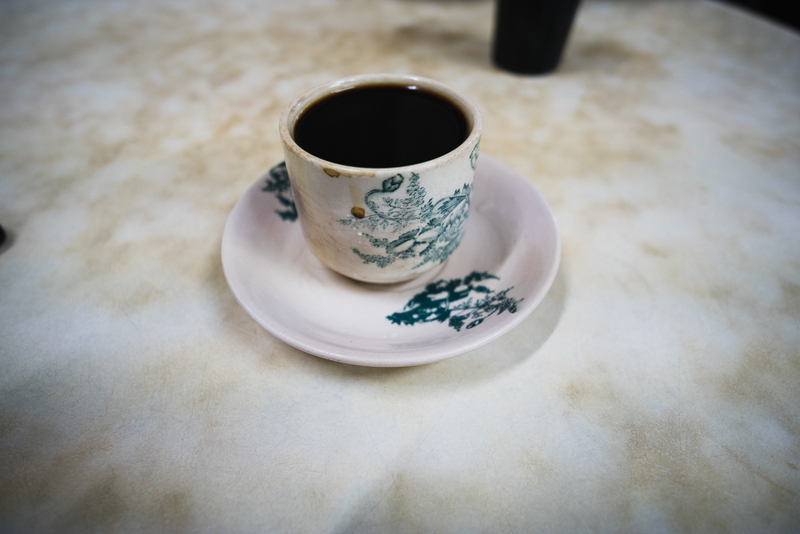 The first morning in Ipoh, the first white coffee we had here. 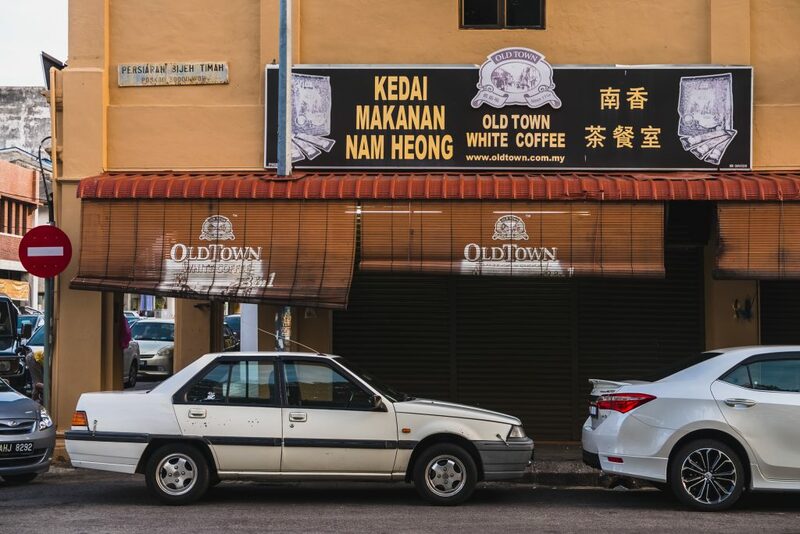 This is one of the famous coffee shops that serve white coffee. 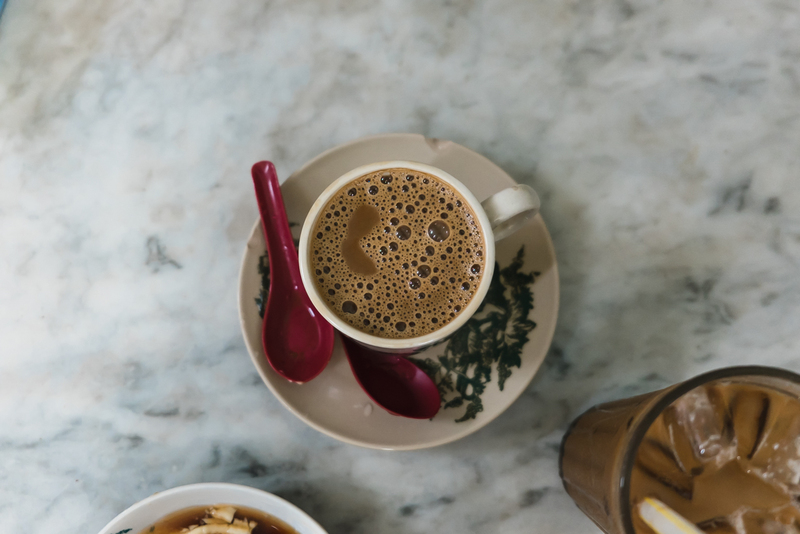 They’ve been around since 1937, considered to be the first to produce Ipoh famous white coffee. 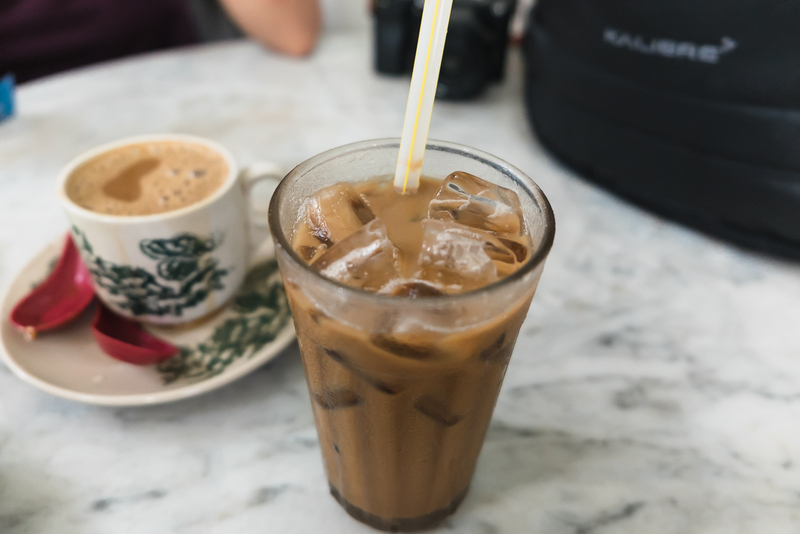 Yep, you have to try white coffee from Ipoh. 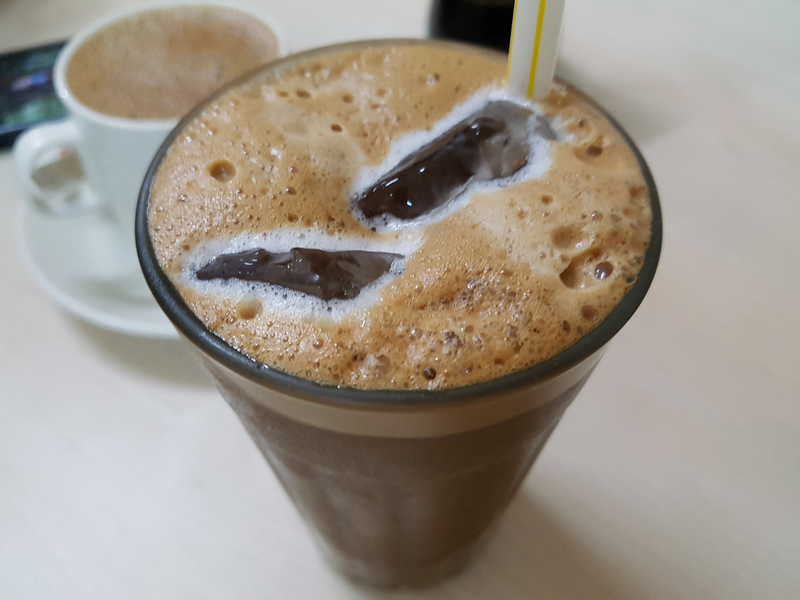 I’ve written on part 1 of our Ipoh travel journal, that having coffee at this coffee shop for Chinese people especially in Southeast Asia, is more than just a cup of coffee. 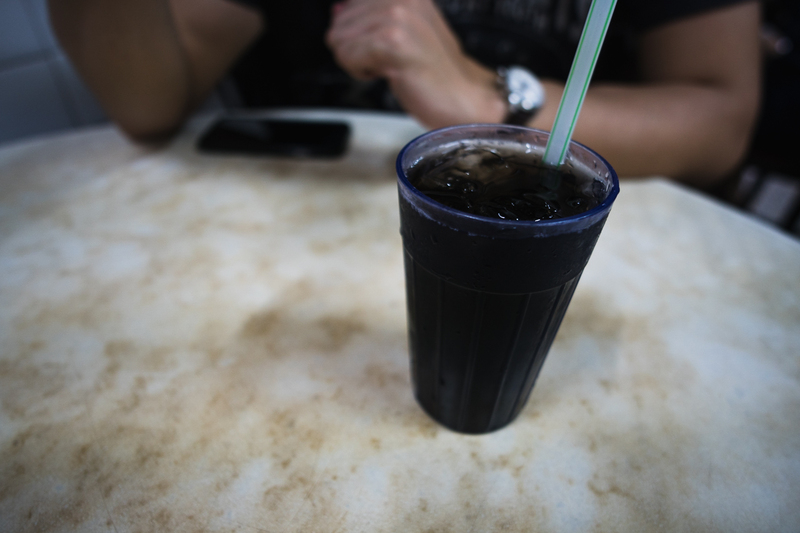 This is a culture that has been around for generations, the ‘Kopitiam Culture’. 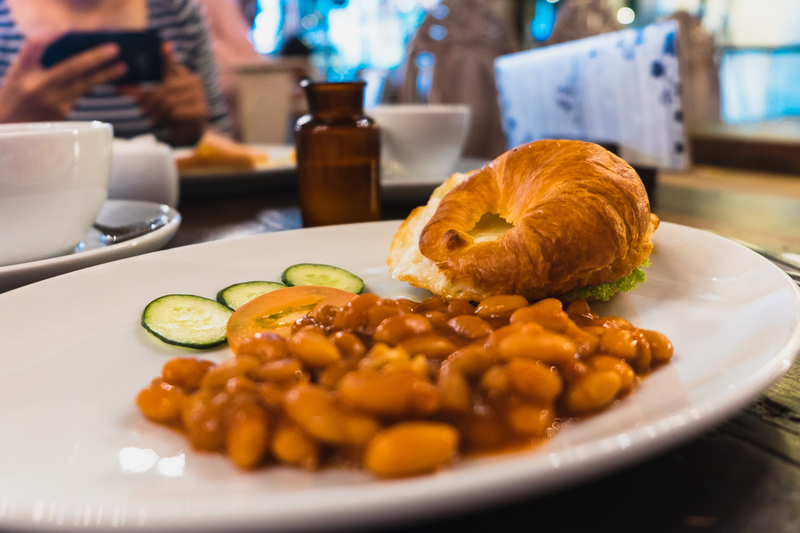 People gathered having breakfast with their family, building their social life, all done witnessed by coffee and foods. 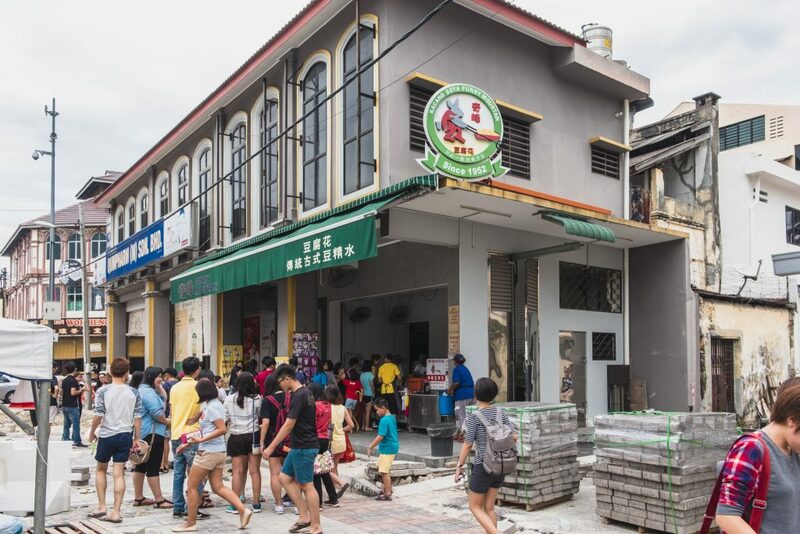 It’s just how things are for Chinese people in Ipoh. 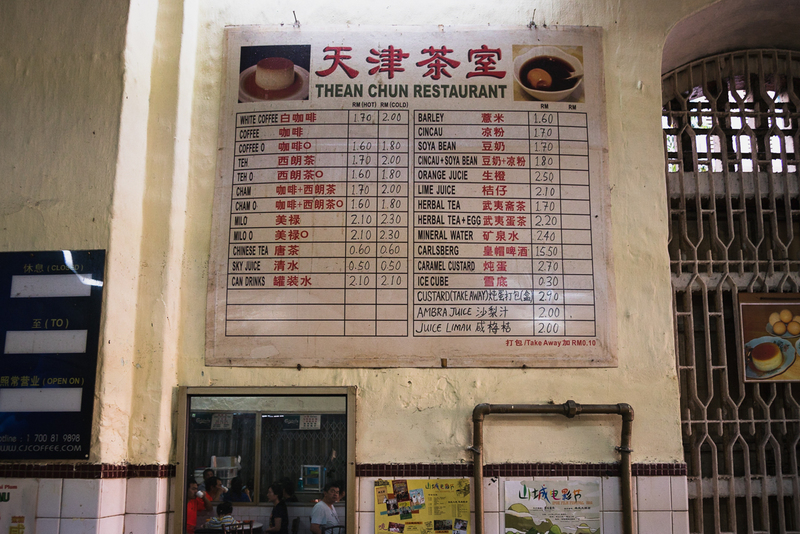 We ordered white coffees both hot and iced, kaya toast, beancurd, bread with poached eggs, and a wanton noodle. Just an info, if you order food from stalls, you pay directly as soon as the food coming. 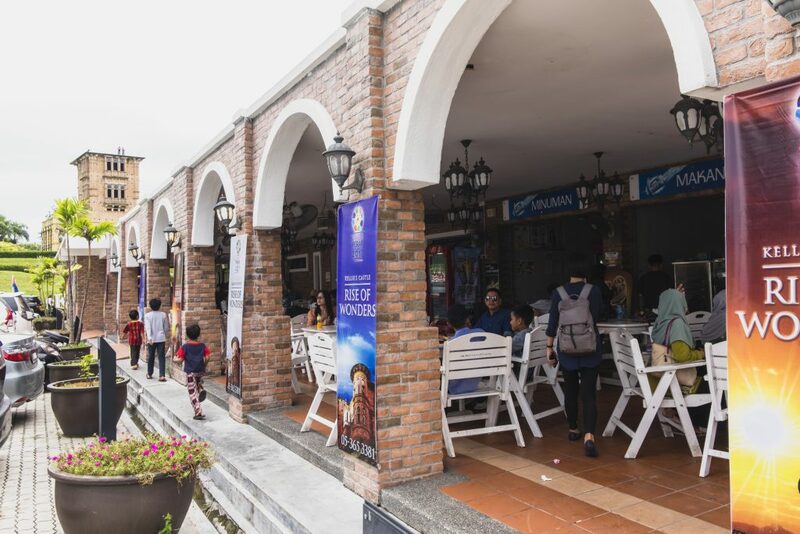 Some food stall operates separately from the coffee shop. 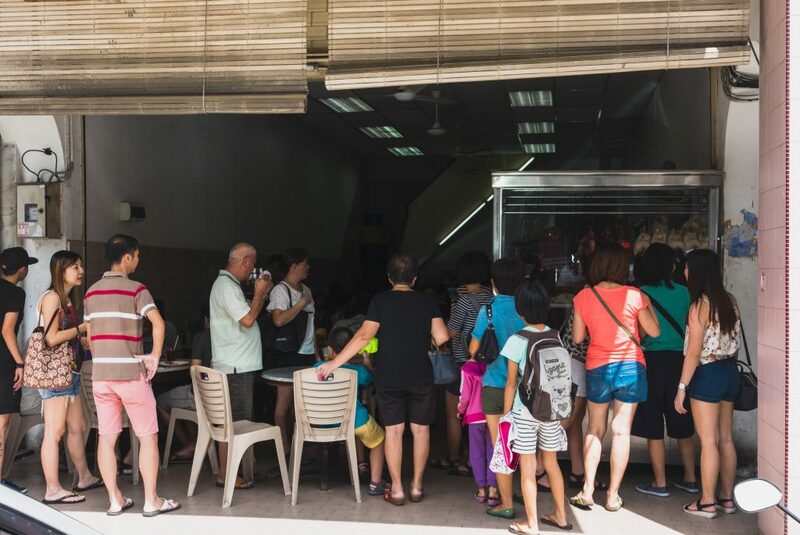 It’s just a Kopitiam thing, the coffee shop owner only sells drinks and some snacks, while they rent out space to some food vendors. How’s the taste? That ‘1937’ and ‘the first’ label proven true, according to my taste bud. 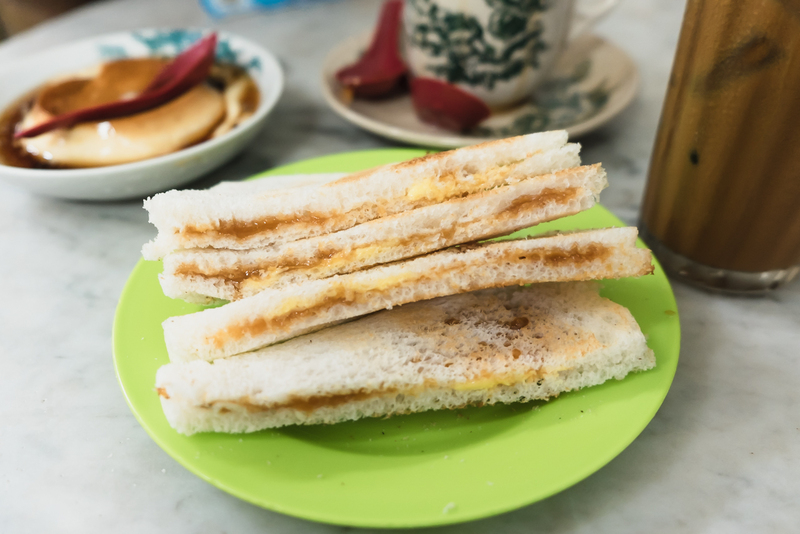 I like everything, the coffee, the toast, the beancurd, only the noodle, somehow mediocre. 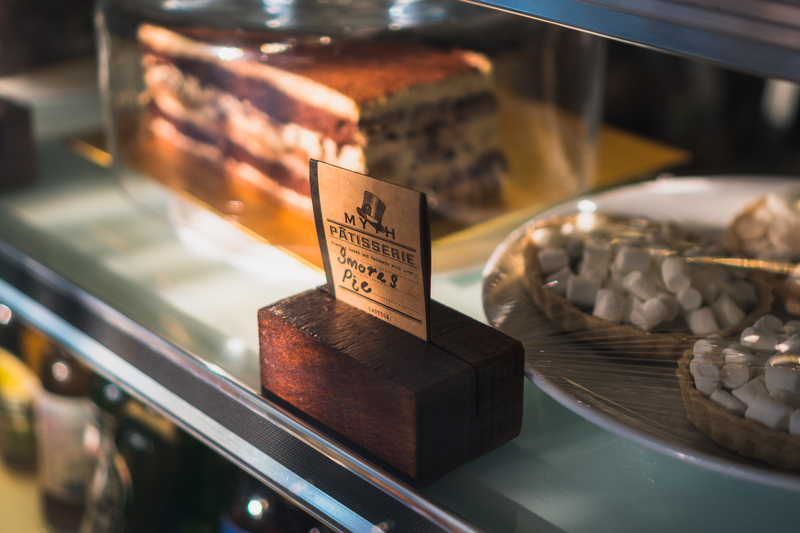 They well known for their kaya cakes and sponge cakes with coconut jam. Should’ve researched more. 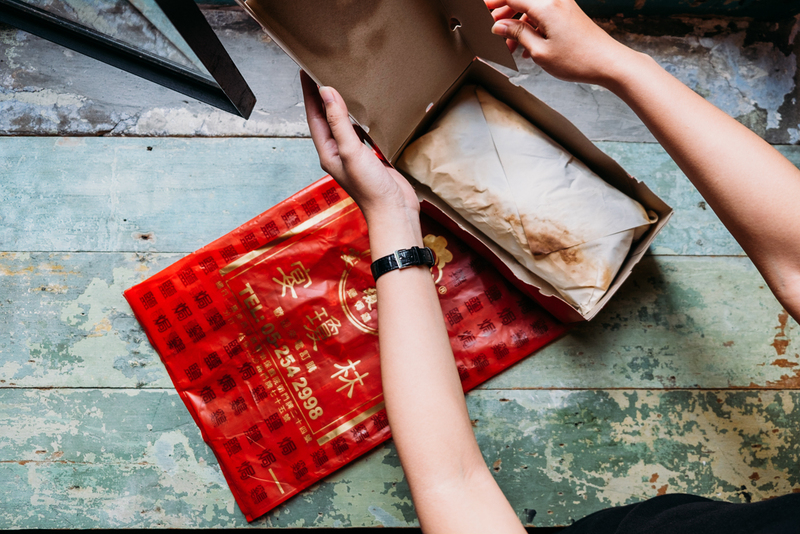 We bought an egg tart just in front of the coffee shop, just curious. It’s okay. Too bad, we didn’t have the right shot for this, sorry for the focus. Location: 15 A, Bandar Timah, 30000 Ipoh. Open: 6.30 a.m. – 5.30 p.m. This is where we had our late lunch after visiting Ho Yan Hor museum. It’s almost 4 p.m. and seems like they’re closing soon. 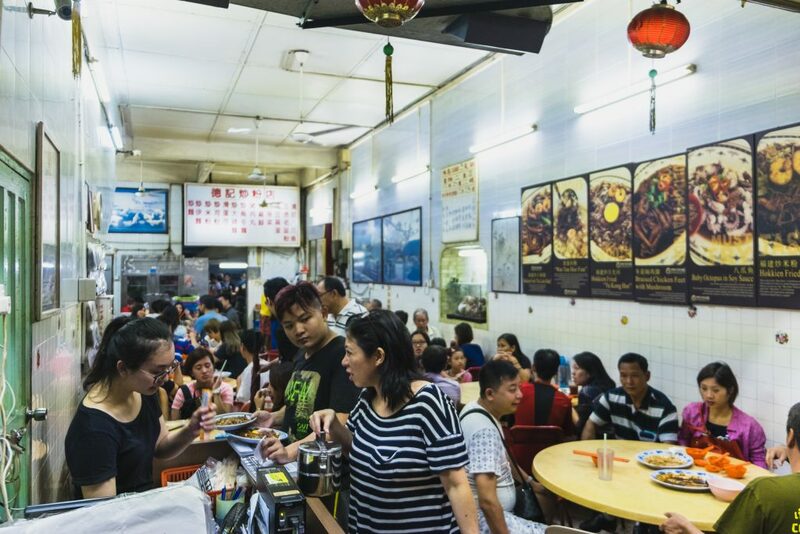 This restaurant is a classic coffee shop, which like usual has a variety of hawkers. 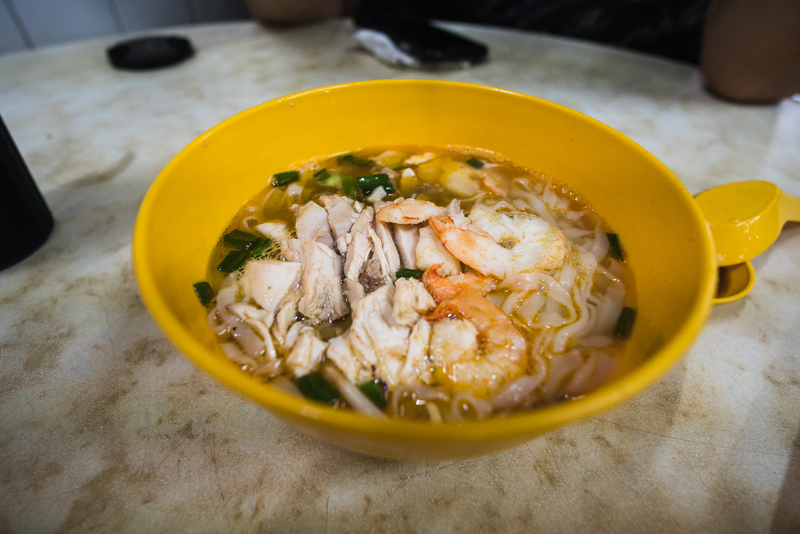 Famous for their ‘Kai See Hor Fun’ (Chicken Kuey Teow Soup). 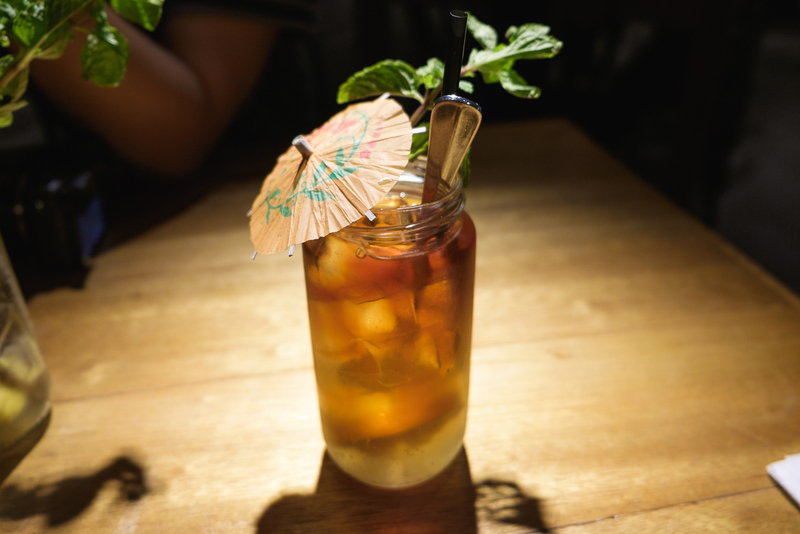 We had two of those, one herbal tea, and one kopi ‘o’. Again, I’m starving at this point, so I felt this is a very good food. 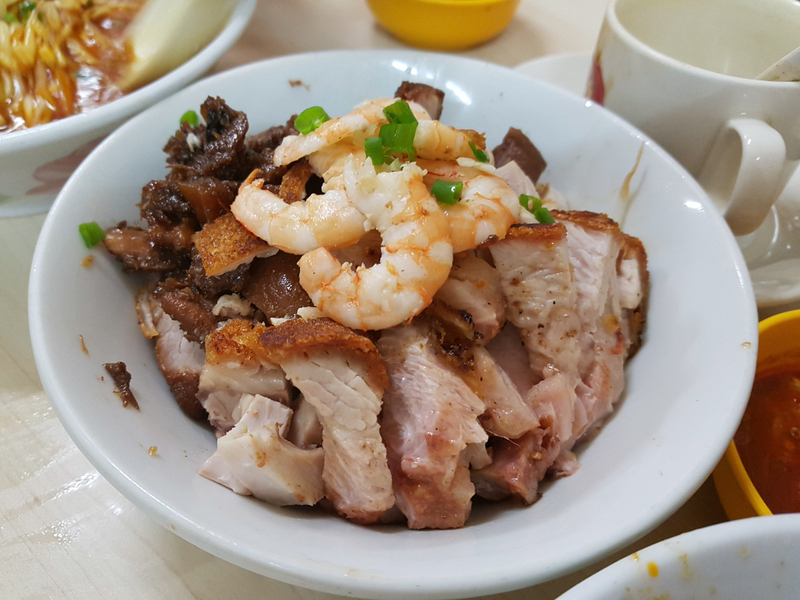 Their hor fun has nice softness, the portion of the chicken was generous, the shrimp was big enough. 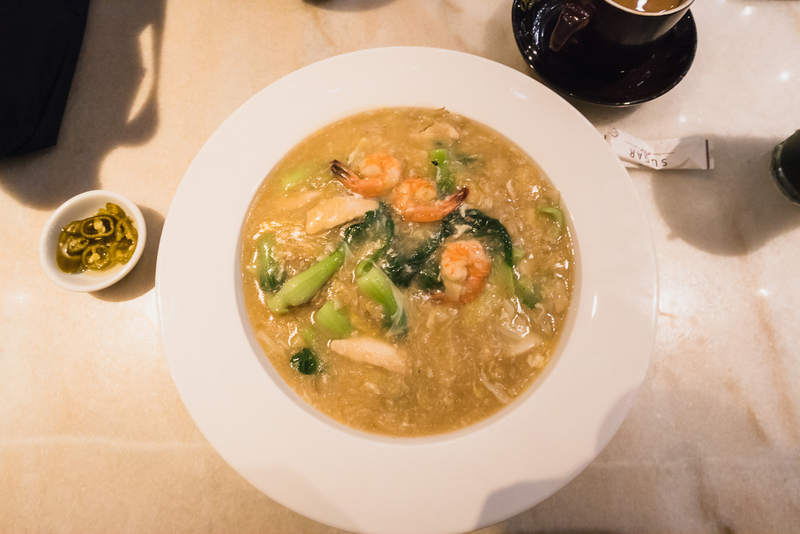 The best thing was the broth, seasoned very well. Combined all those, Dayum! We met a female worker who’s also Indonesian. She engaged with us after she noticed we spoke in Indo. That’s nice to see someone from home. 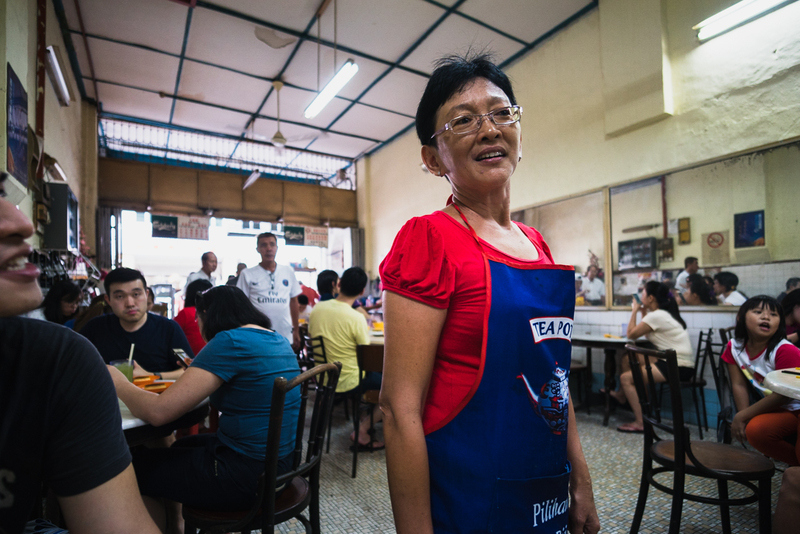 She’s been working there for years and looking for a chance to work back in Indonesia. Gave her our card, though. No contact have been made yet. 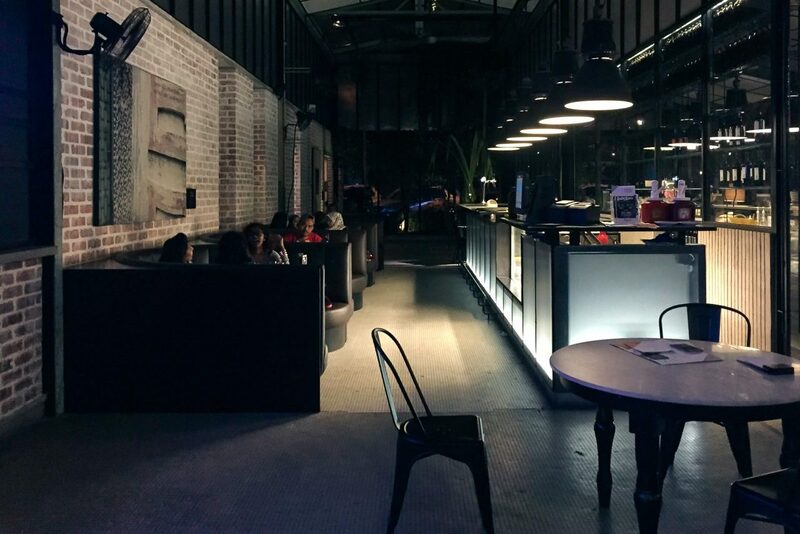 Location: 73, Jalan Bandar Timah, 31650 Ipoh. Open: 9.30 p.m. – 4 a.m. This is one of the two fancy restaurants we had in Ipoh. 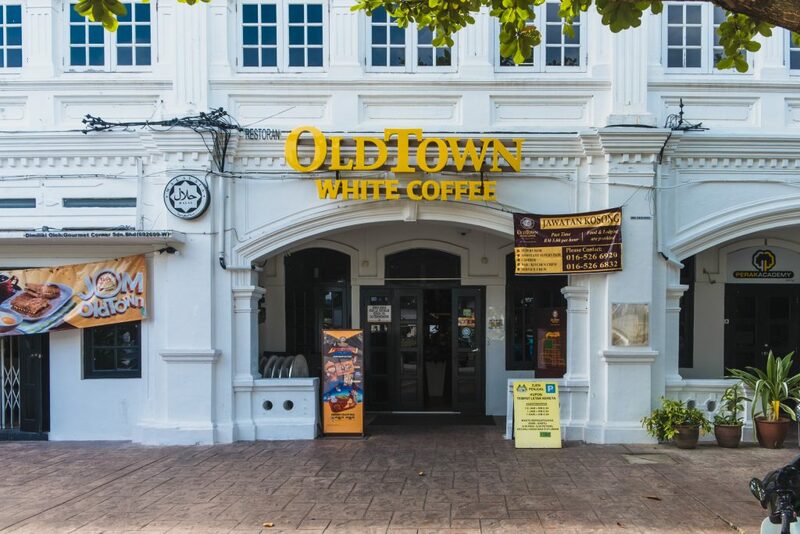 Basically, this is an upscale version of the very own Old Town White Coffee brand. We tried this ‘grand’ because it’s next to our second hotel, the beautiful M Boutique Hotel. Hmm… What can I say? The first impression, it’s beautiful from the outside, even more on the inside. That ‘grand’, by definition, mean fancy place, fancy decoration, fancy price. Steffia had a coffee for RM 4.43 excl. 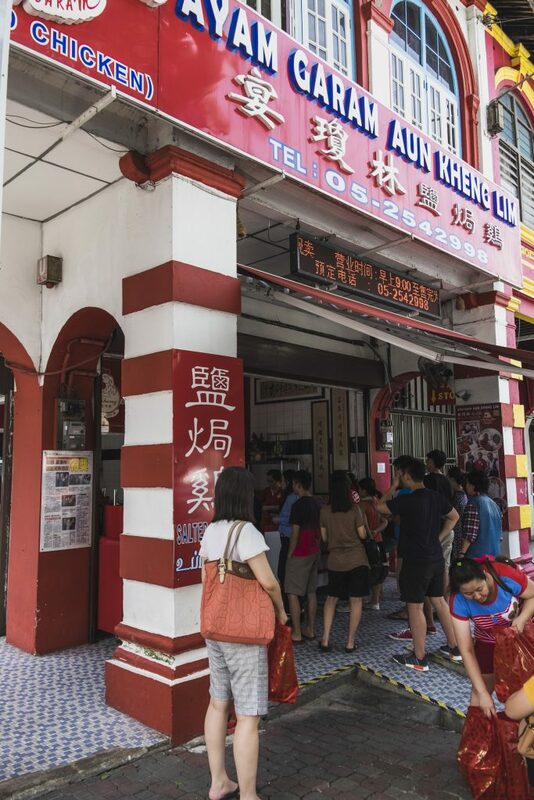 tax (which is 25% more than the regular Old Town White Coffee Restaurant). Gotta admit, though… They have that ‘grand’ look, which is nice. Bring your date here, it kinda feels fancy. 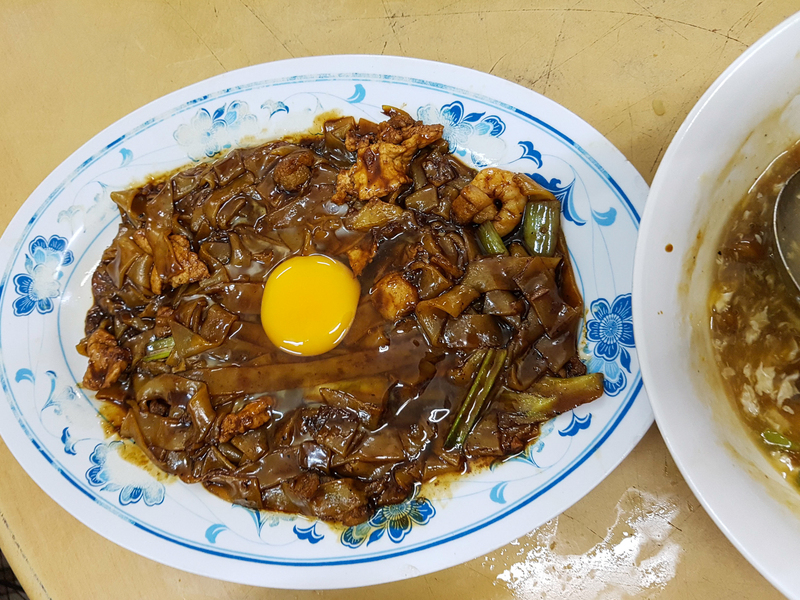 We had fried wanton noodle and a seafood hor fun. I think this is no better than any of the food we had before. This is more like a place to hang out and drinks. There, I’ve said it. Open: 10 a.m. – 12 a.m.
More like a place to do beauty shot for Instagrammers. This place is probably already a ‘hype’ for ig-ers. That’s just a match with the hotel, M Boutique. 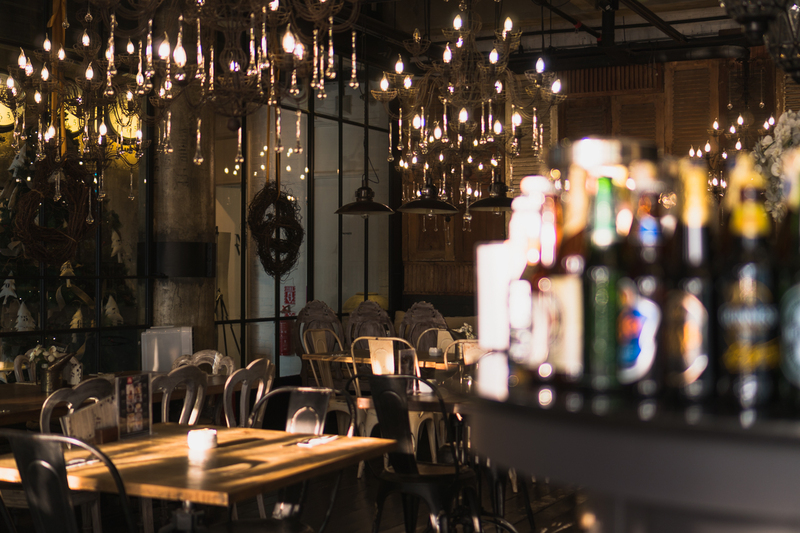 Yes, this restaurant located at M Boutique Hotel. We had our breakfast at this place. It’s just so pretty in the morning that we literally just took more shots than concern about the food. We’re more into the place than the food for this one. They have this sort of old vintage European village feels, mixed with some modern art elements. I’m confused how to explain in words, just see these pictures. They also sell some other pretty stuff, like bottles, glass jars, cups, fabrics, some pretty cakes, and cookies, etc. They’re pretty expensive, though. We had burger and bacon as our choice. There are only 3 options available as a breakfast complimentary from the hotel. Taste? 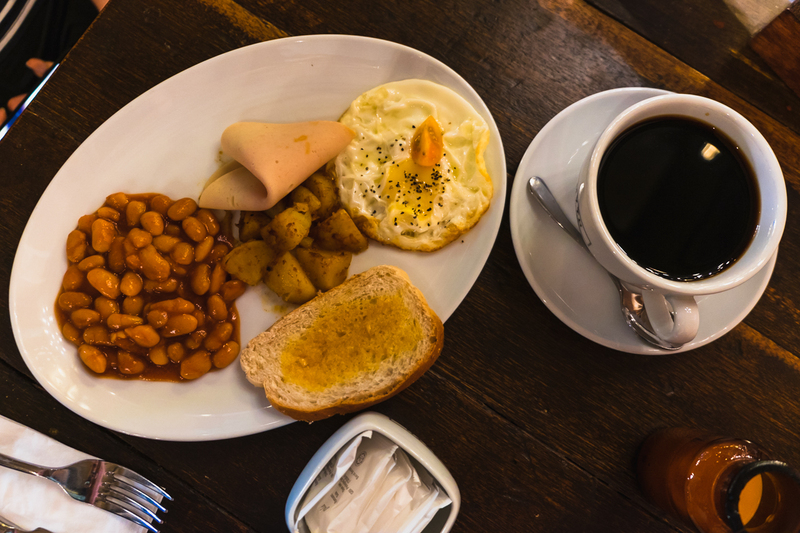 Mmm… I’ve tasted better western breakfast many times at many places. Let’s just say this isn’t one of those. Mediocre, I guess? But… This place is legit Instagram-worthy. If you know what I mean, you’ll love it. 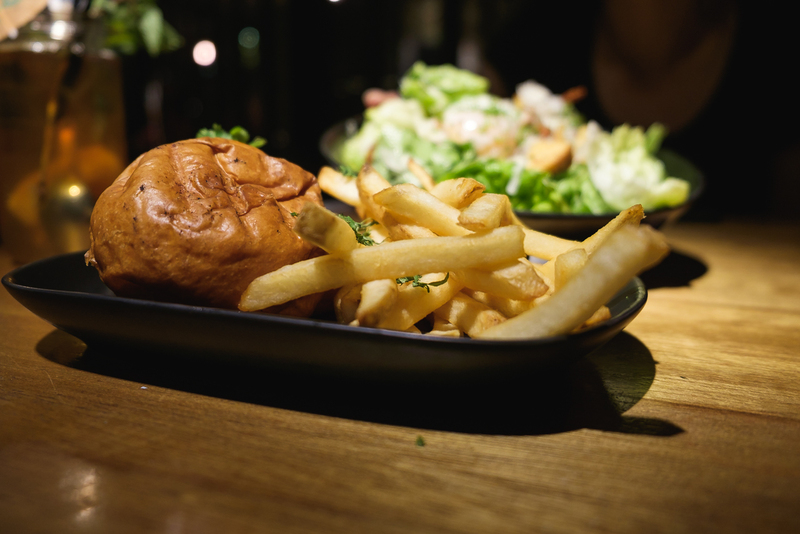 Dinner here will also take your Instagram game up. Look at that ambiance. Lol! The next lunch we had was from the interestingly crowded restaurant across the street when we move to our third hotel, Le Metrotel. We saw crowd queueing, we will definitely approach. That’s the rule for food. Mind you, this place will always be crowded no matter what time. We ate here around 12 p.m. which is the worst situation. It’s just so crowded that I just leave Steffia wait and queue for a table. Don’t worry, this one worth the wait. 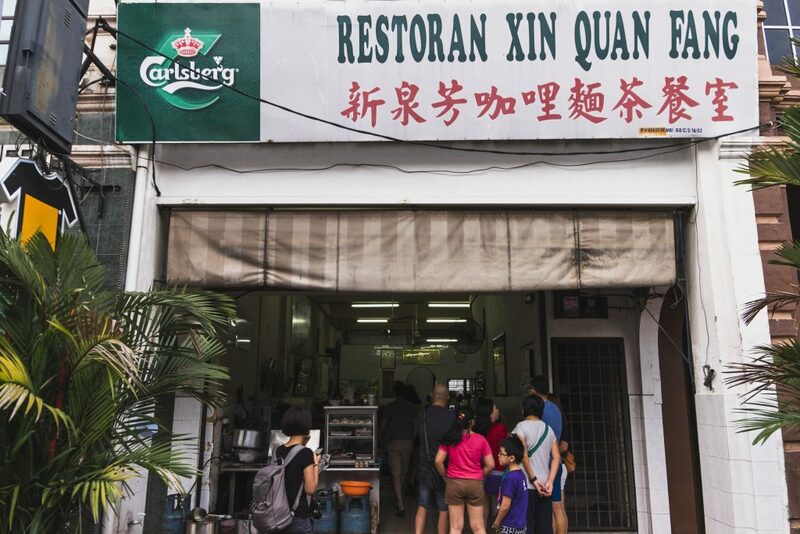 Although they sell chicken rice as well, it’s not the same with Lou Wong Restaurant. This one has a bit of different style in it. 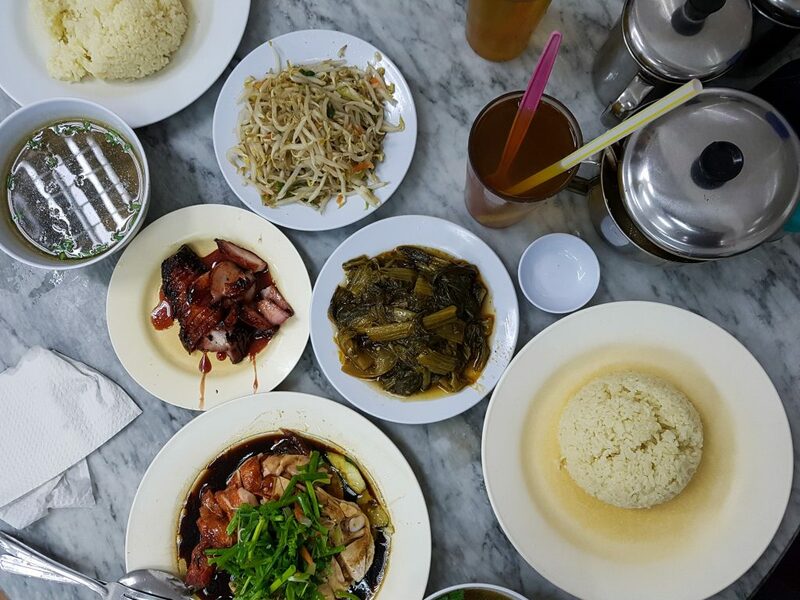 We ordered half boiled and roasted chicken with soy sauce, char siew, Hainan rice, Kai Choy (sort of salted vegetable), and beansprout. Yes, beansprout again just to compare with Lou Wong. 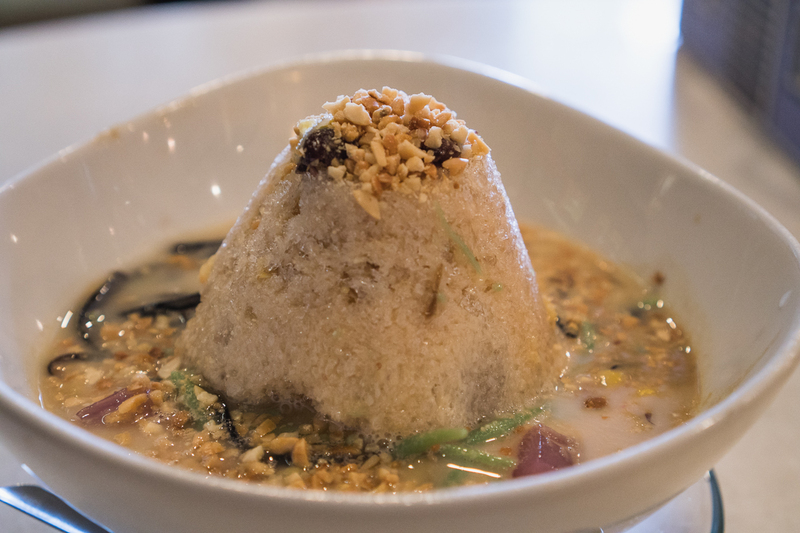 The rice was tasted different, it has more taste than the Lou Wong one. Their chicken was so juicy and tender, definitely the best we had so far. 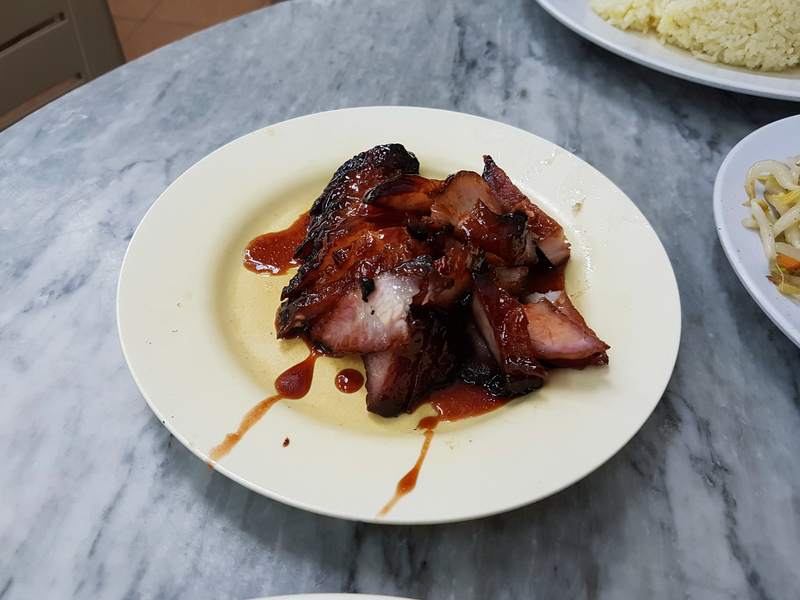 The char siew even better (I like pork with honey), the Kai Choy also good, and the beansprout is okay. 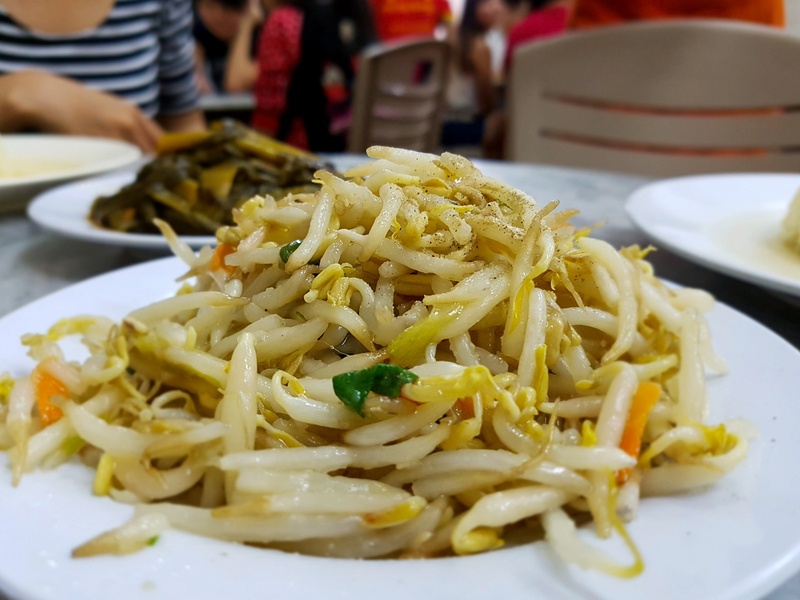 But I still think the beansprout from Lou Wong still better in terms of freshness and taste. Just the beansprout. Everything seems to go really efficient in this place, it’s like watching automated human mode in harmony. They fast, work really fast. They have to, right? Cannot afford to work slow with that queue. 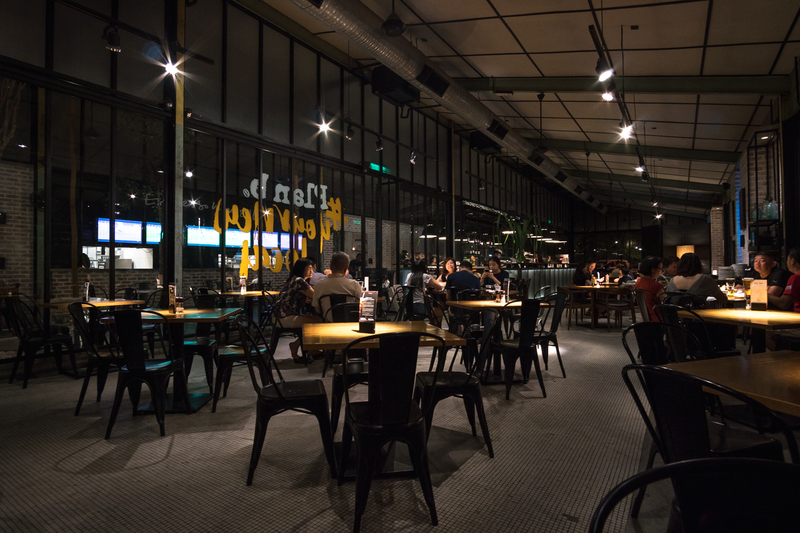 Get used to the yelling of the lady boss, she will shout to the cook in front of the restaurant the list of what the customer order. People sit at a table, the lady boss took the order, register it on the cashier’s computer, then yell it out to the cook team. It’s a loud one, get used to it. She’s very nice, though. Gotta love watching how they work. What a dedication. 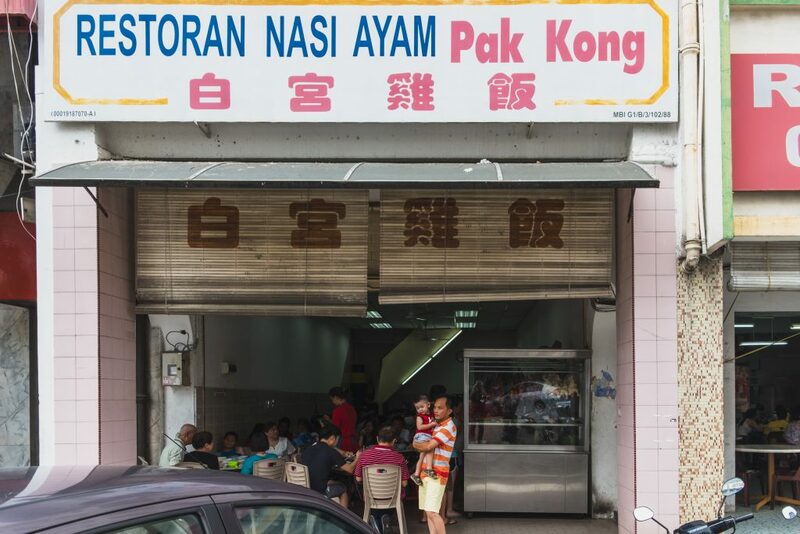 Open: 11 a.m. – 2.30 p.m.
We took a walk after eating at Nasi Ayam Pak Kong. We saw another crowd queueing, we go to see straight away. Turned out it’s a soy-based snack. Funny to see the name ‘Funny Mountain’ though. 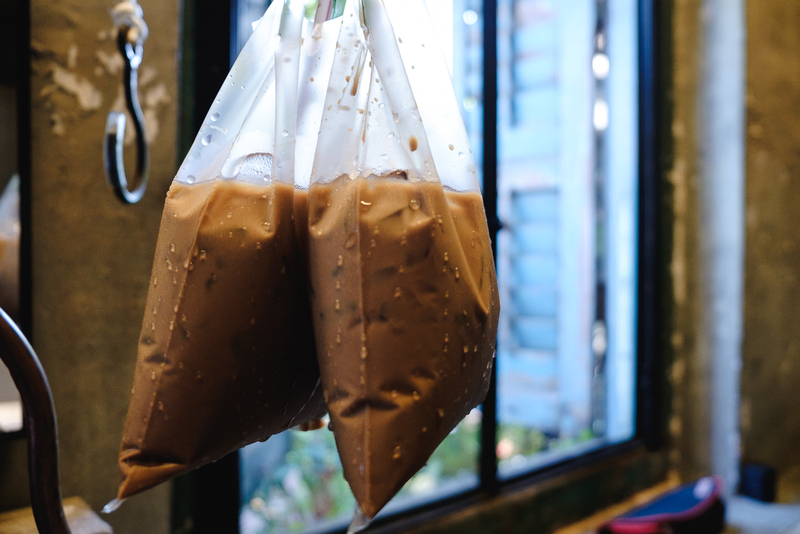 They sell soya bean food and drinks, silky soy beancurd and soybean drinks. It’s a delicious snack, if you love soy and if you’re lactose intolerant. Give it a try! 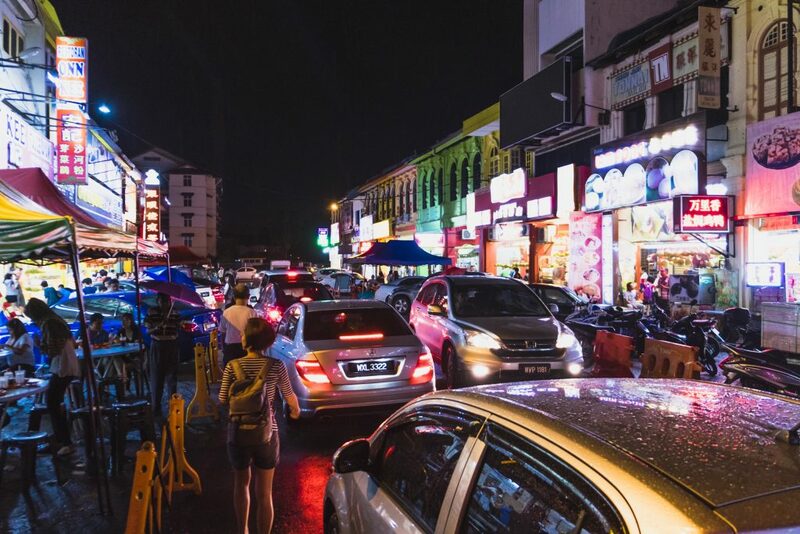 That night after one exhausting semi-hiking at Perak Cave Temple, which we didn’t know visiting a temple could be that demanding, we had dinner in Tuck Kee restaurant which is around the block from Le Metrotel. This time, legit the longest and crowded place we had dinner. I’ll just give you a picture to see how is it. I seriously don’t think this is worth the wait and all the hassle. Really don’t like the idea of how we have to survive on our own to eat here. 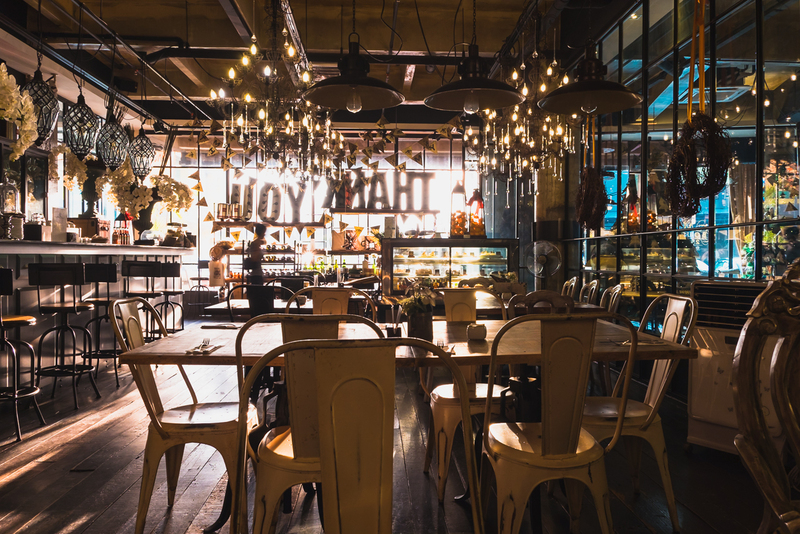 First, nobody from the restaurant including the lady at the cashier (which seems to be the daughter of the owner or family member something) will ever help you get a table, you find your table. How? You pick one table that based on your judging skill whether they about to be done or not. No, no queue system. Everybody literally standing and waiting for their table, it’s a common thing that I saw one table got two or three different people standing and waiting while there’s still someone eating. I don’t know how they settle, worst idea for such system. Our story, Steffia had to wait for a table, she’s standing to wait for the two table that seems the fastest one to be done. The larger table, surprisingly order another food! What an inconsiderate assholes. Why? Because it took about 40 minutes for the food to come out, that’s why! When she knows, she turned to the other table, which then quickly done and leave. But, this time there’s also another man seemed already waiting for the same table. He quickly took the table, Steffia seems confused, which is kinda upsetting for me to see. So I talk in a little bit ‘high’ tone to the lady at the cashier. Which then she talks to the guy, ended up with he gave up the table for her. 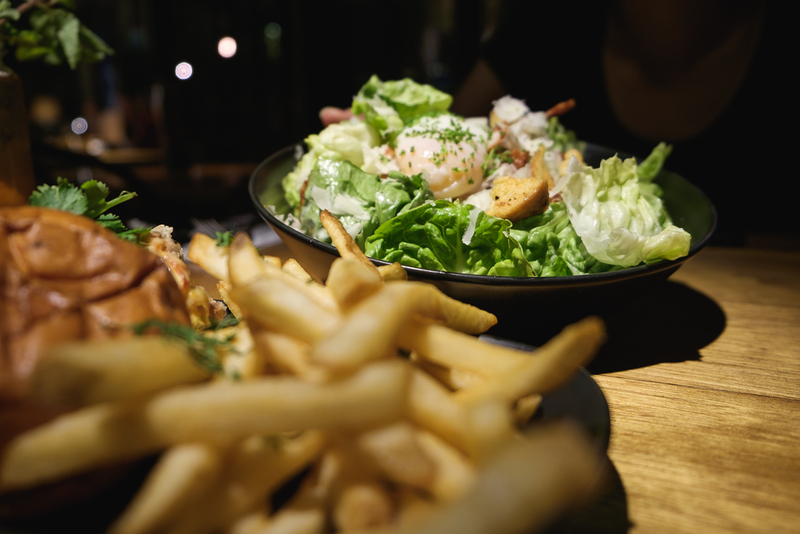 Too much hassle for just a dinner. I don’t know why we so stubbornly want to eat there at that time. We even had to share a table with another couple, just because it’s so messed up. You’re gonna need some luck to eat here. And a lot of patience. You can ask God for both. Okay, for that hassle, how’s the food? Honestly, it’s good, but not that really ‘die-for’. 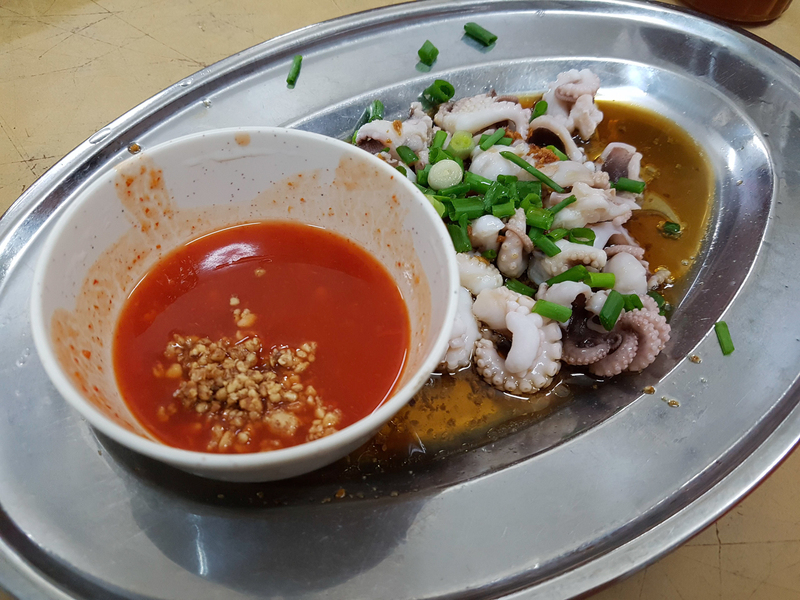 We had the baby octopus, Wat Tan Hor Fun, Hokkien Fried “Yu Kong Hor”. 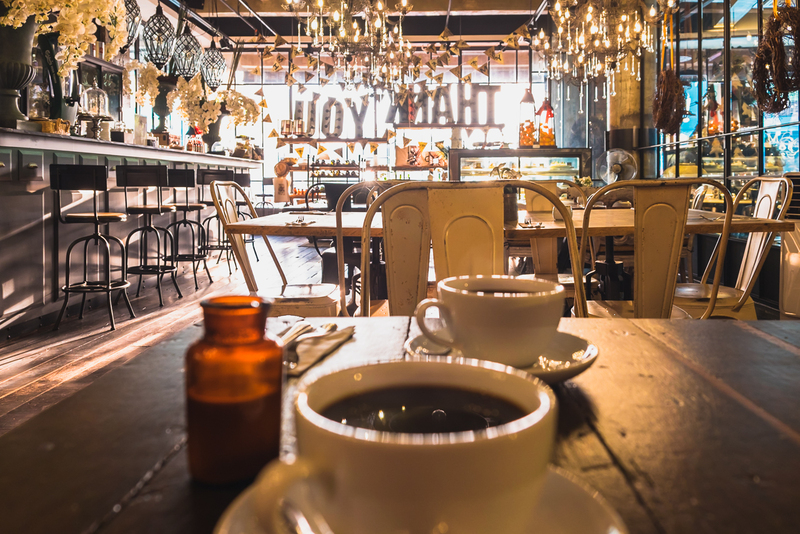 The next morning, finally we had a chance to have breakfast at Nam Heong Coffee Shop. 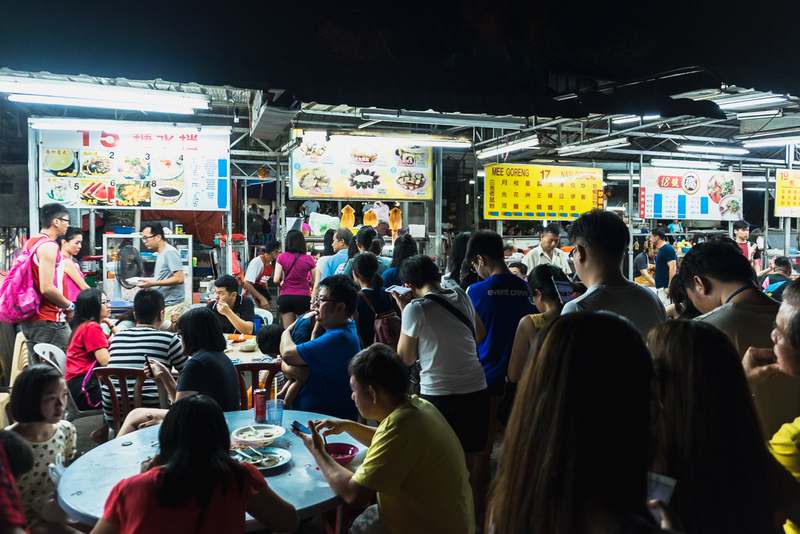 This place noticeably has more hawker stalls than their rival, Sin Yoon Loong. Yeah, you have better options here. 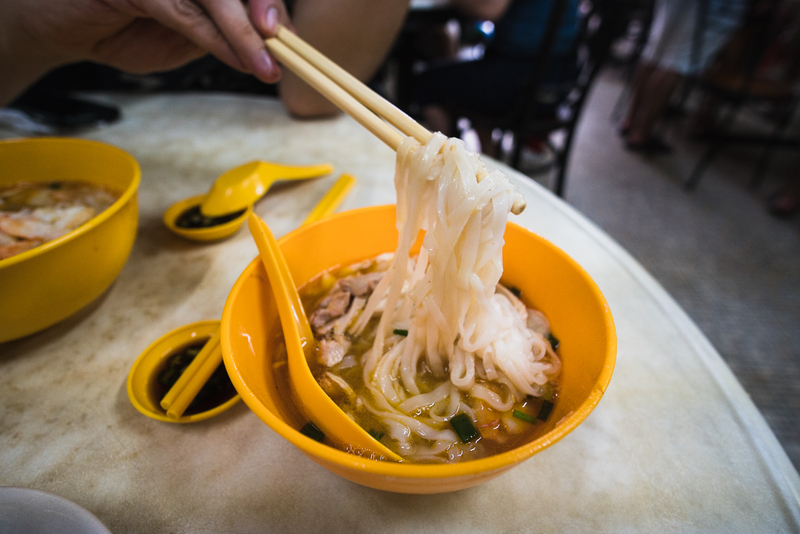 From a variety of noodles and soup, curry mee, kuey teow, economy rice, to snacks like dim sum, muah chee, and of course their very own white coffee. Apparently, there’s a division among locals about which one is better. 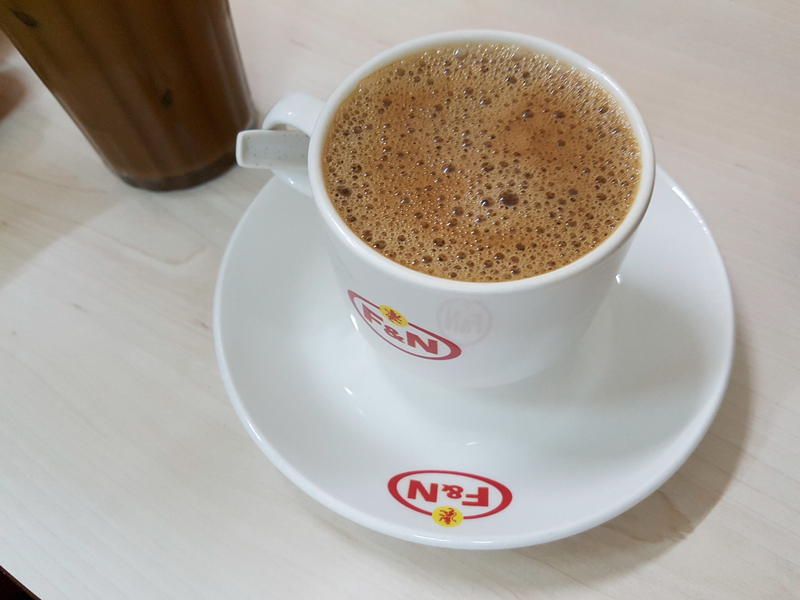 I’d say the Nam Heong has better food, but Sin Yoon Loong has better coffee. Now when you visit Ipoh and tried between the two, please let us know. Are you team Sin Yoon Loong or team Nam Heong? We ordered white coffee (as usual), kaya toast, muah chee, dim sum, chee cheong fun, yong tau fu. They’re all taste good, except the soup, it’s a bit mediocre. 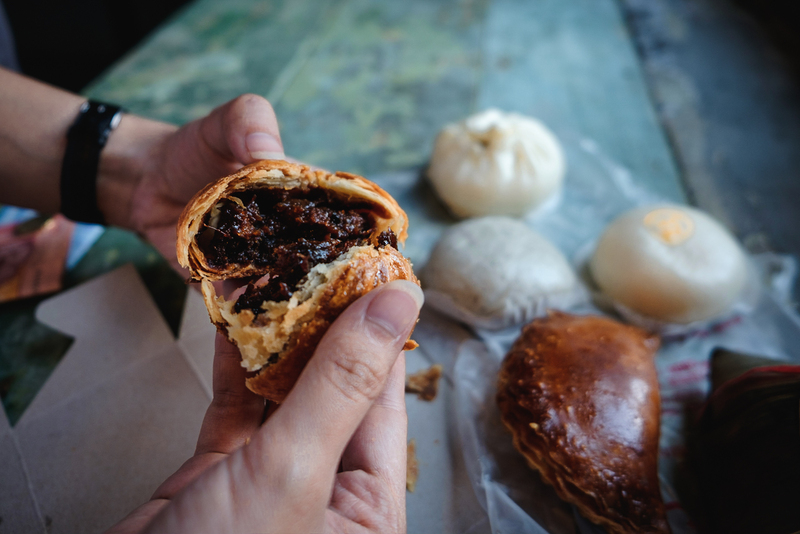 Gotta love the dim sum, definitely delicious. 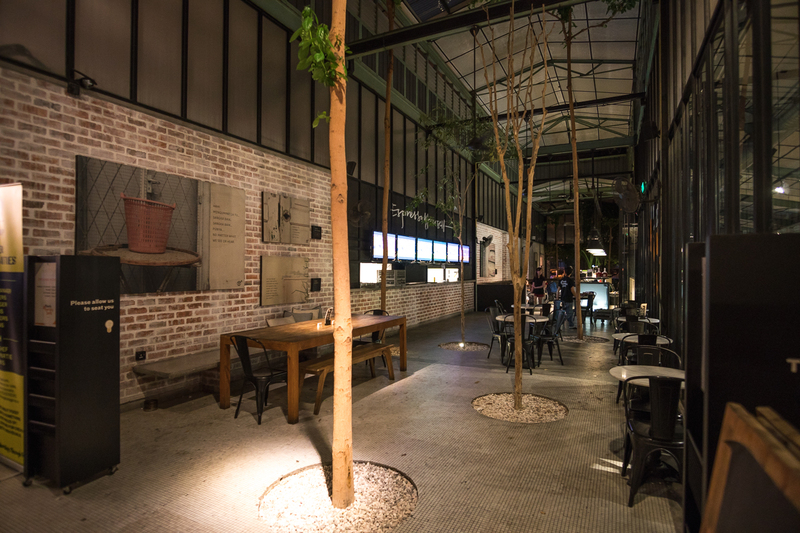 You can sit inside the restaurant or if you prefer outdoor, they have more tables in the back alley. If you walk further to their back alley, you’ll see more people. In our sight, they had more guests eating than their rival. This is just an intermezzo for this culinary journal. We didn’t have a proper lunch when visiting Kellie’s Castle because we had so little time to catch up with the itinerary. Didn’t want to give up more places than we already did, so we had to get what’s possible. 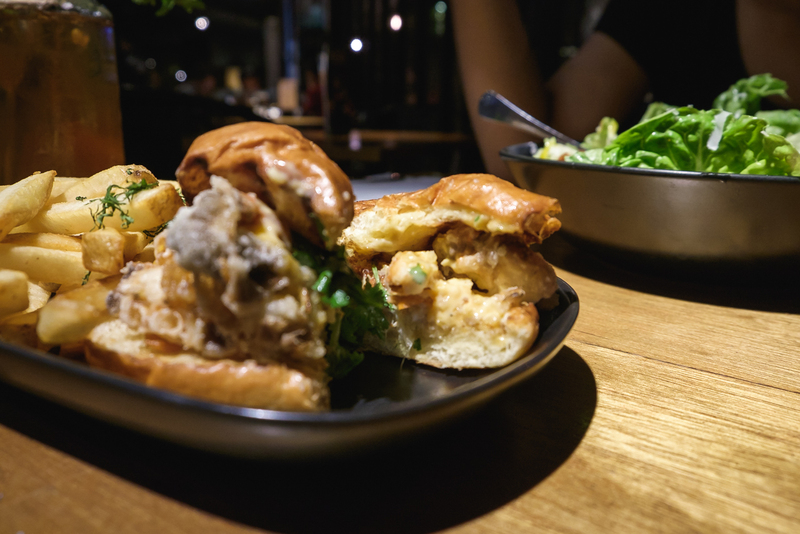 We had one super delicious chicken pao and matcha ice cream. Plus, an energy drink ‘Mountain Dew’ as a refreshment. Definitely delicious because we just burned under the sun while exploring the castle. Sweating and starving, any food will be delicious. It’s scientifically proven. 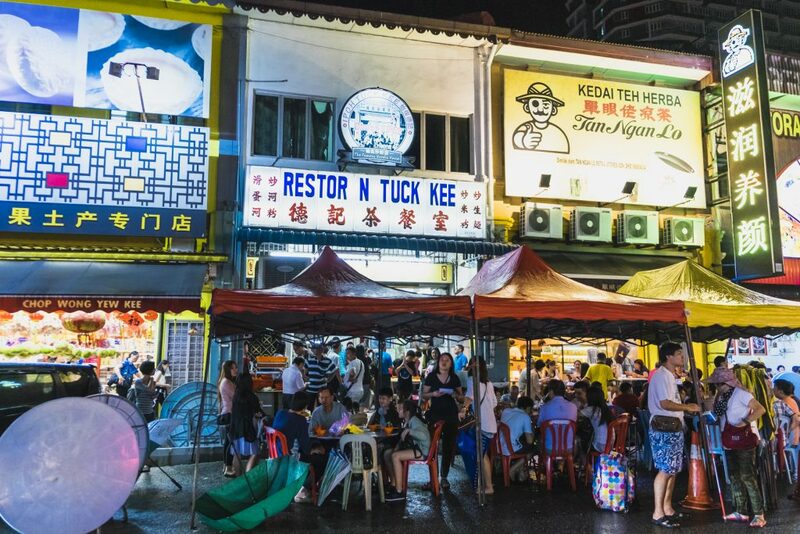 Having not wanted to eat at the same location (around Tuck Kee restaurant) again, we explore further to see the hawker stalls that Mr. Lim, our Uber driver told us earlier. 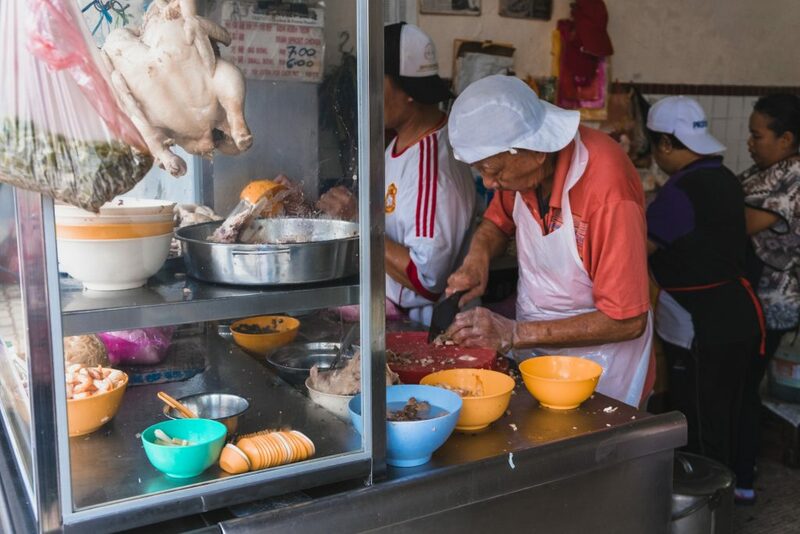 It’s just because, it’s so easy to go to the Yau Tet Shin Street where you’ll have one street full of food. Too convenient, too boring. Walking to this hawkers was quite far, about 10-15 minutes. But it’s like seeing a wonderland once you’re here. 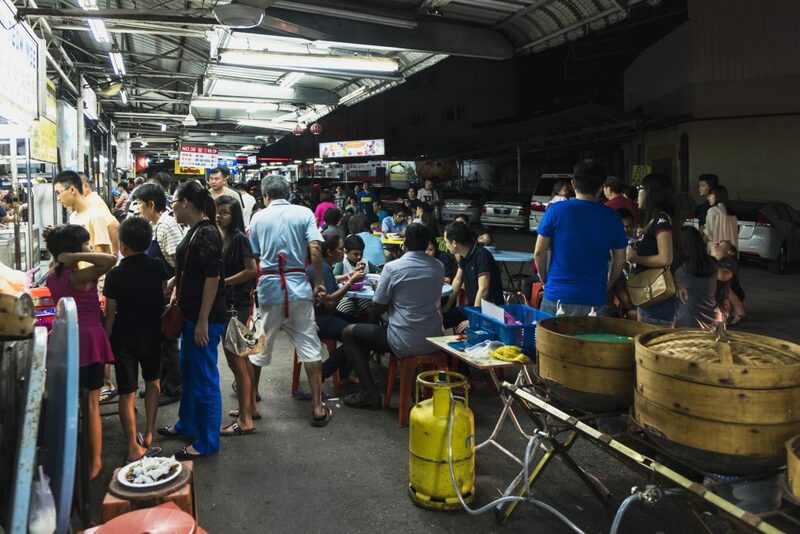 Look at all the hawkers in a row, so crowded. 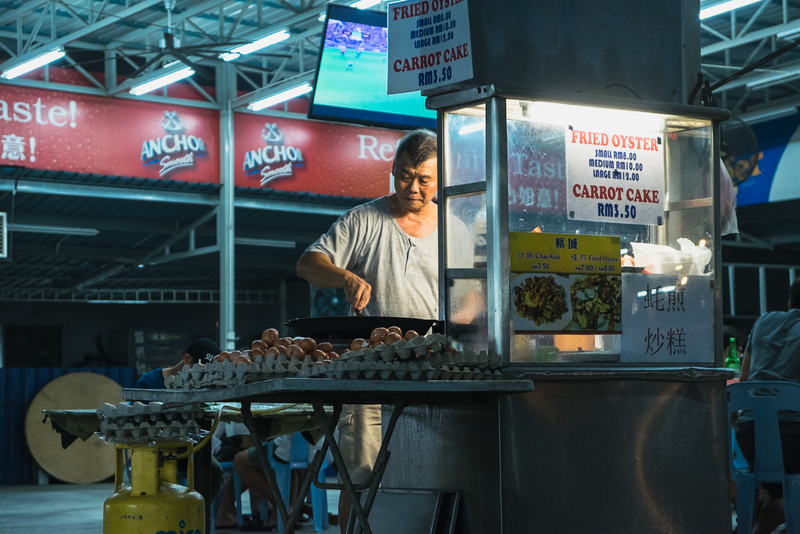 The busy life of hawker stalls really charming for many travelers, including us. Know first that it can be quite a challenge to find a table just like we had. 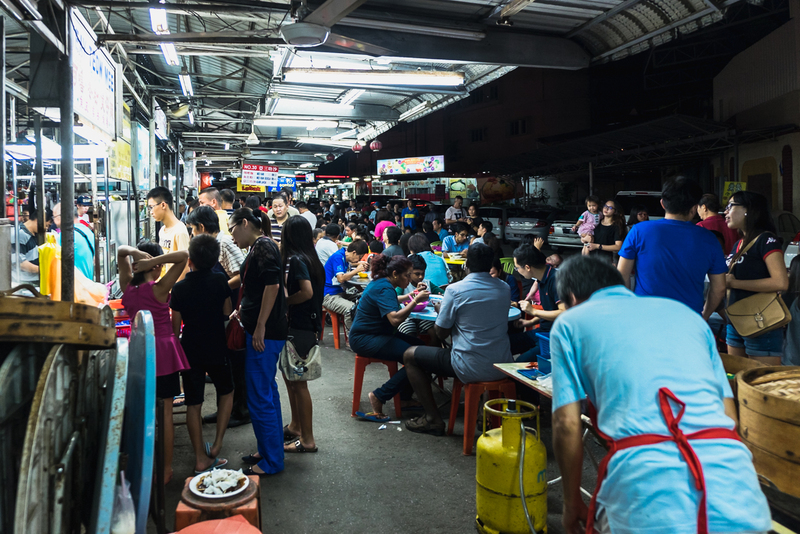 We even walked further to the back side of the hawker stalls row, finding other tables. 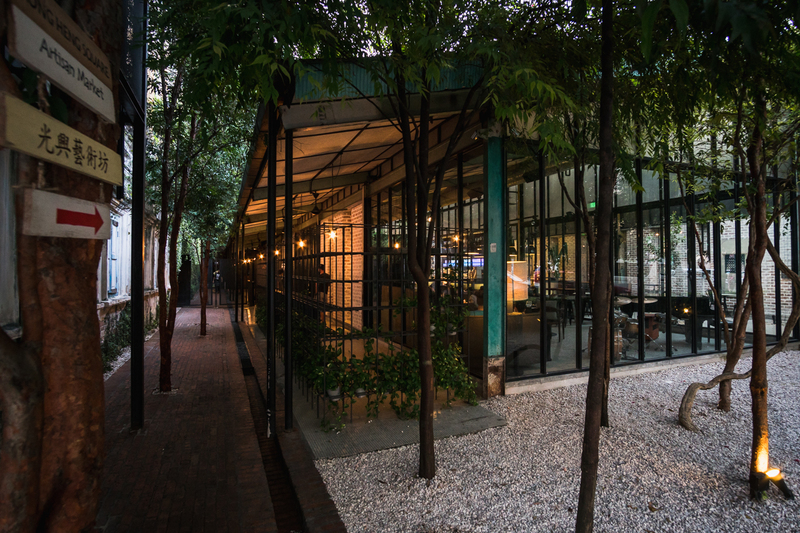 Better chance here, where you can see ‘Sun Guochow’ restaurant. 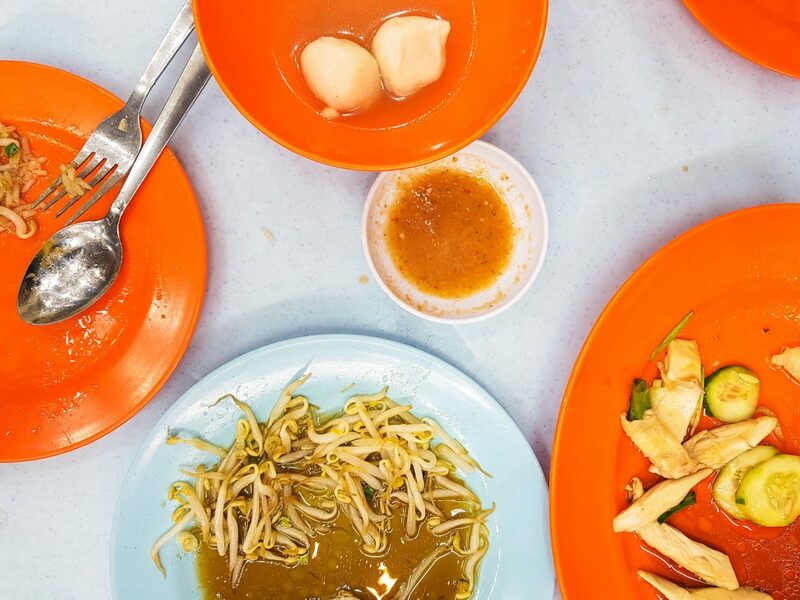 We ordered separately from different hawkers, the Prawn Clam Fried Mee (RM 6), Fried Oyster (RM 8), and Juices (Longan & Lime; RM 2.50 each). Open: 6 p.m. – 2.a.m. We love to take an early morning walk before the sunrise. The goal, of course, to see and capture the sunrise look of this old town. The benefit of doing that, we can always be one of the earliest to eat at a famous restaurant that always has queue because they’re popular. Xin Quan Fang famous for their delicious curry mee. It’s only around 7.30 and yet there’s already a queue. Lucky for us, we only had to wait for 5 minutes. 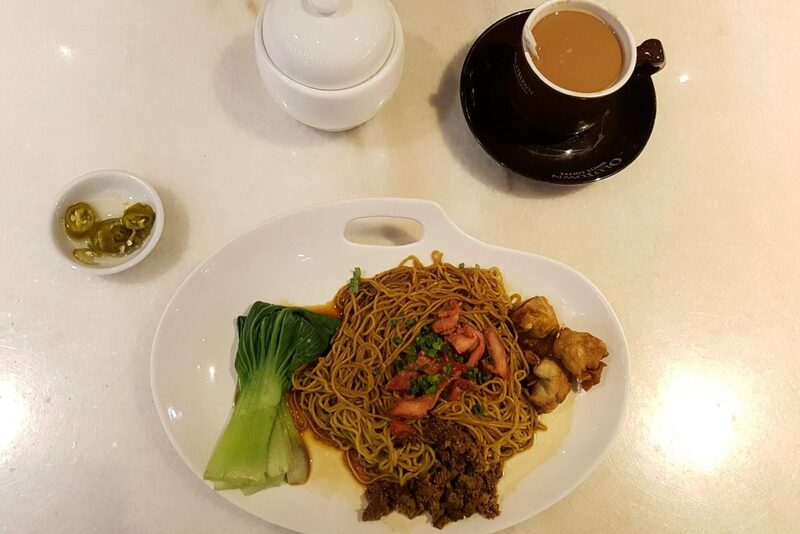 Quickly ordered the curry mee for two, asking for the roasted pork, char siew and prawn to be served in a separated bowl. 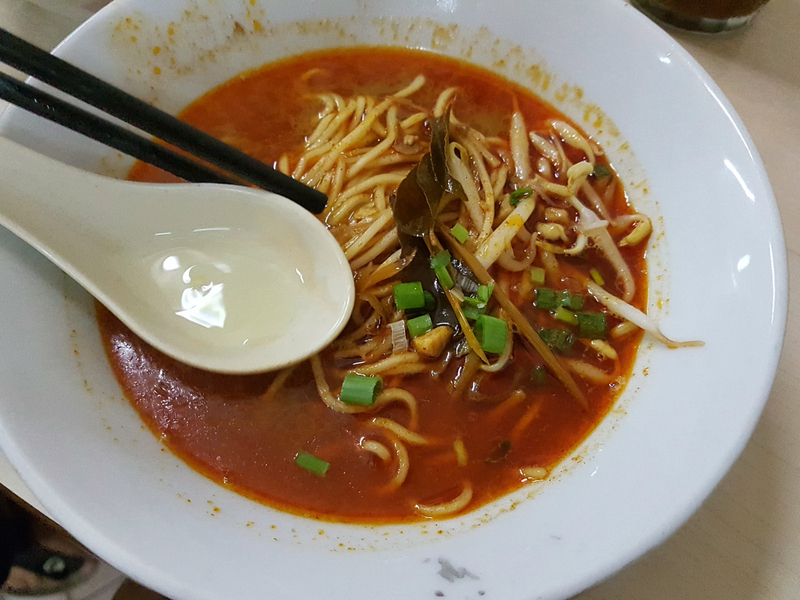 Shortly, we had the best curry mee in town. Makes my tongue sorta craving for that rich taste again even when I’m already full. Go slow with the chili, they taste spicy already. Try first, then add if necessary. Not vice versa, duh! 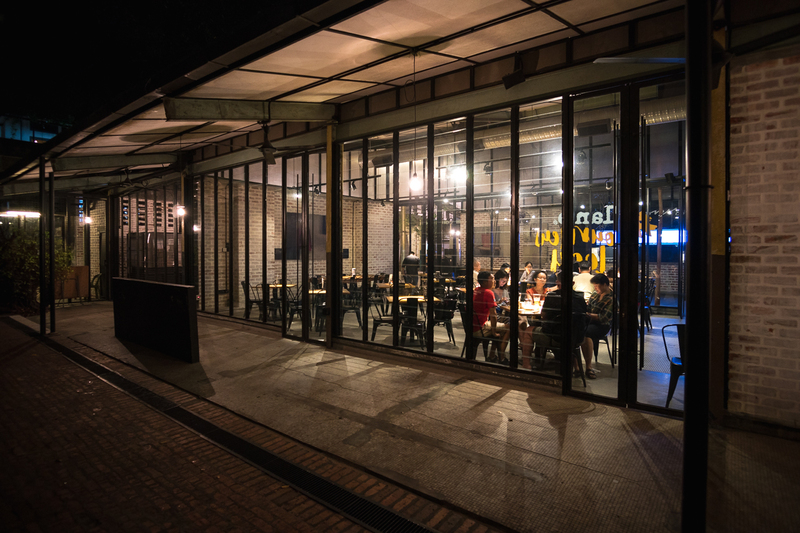 Location: 174, Jalan Sultan Iskandar, Taman Jubilee, 30000 Ipoh. 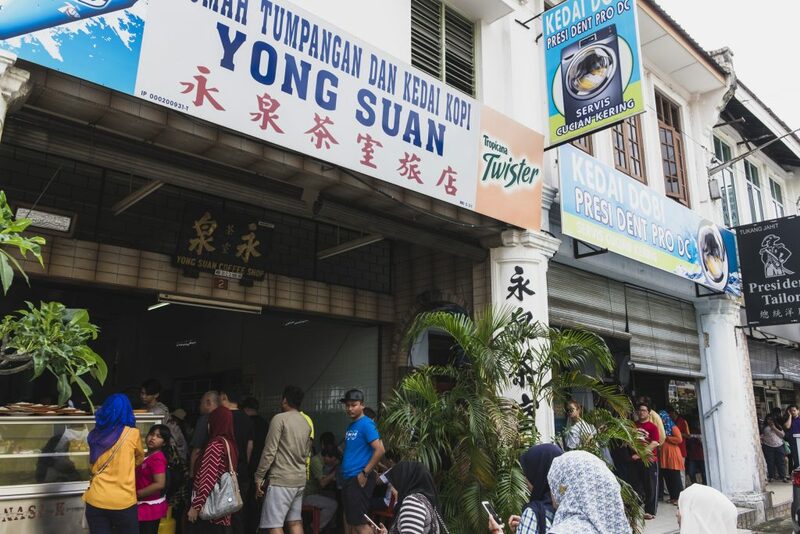 Open: 7 a.m. – 1 p.m.
That afternoon after we go back from Sam Poh Tong temple, we checked out from Le Metrotel and bought lunch at the very popular Nasi Kandar at Yong Suan Coffee Shop. It’s so popular that you could not miss it. The crowd, the queue, it’s so not possible to be missed. 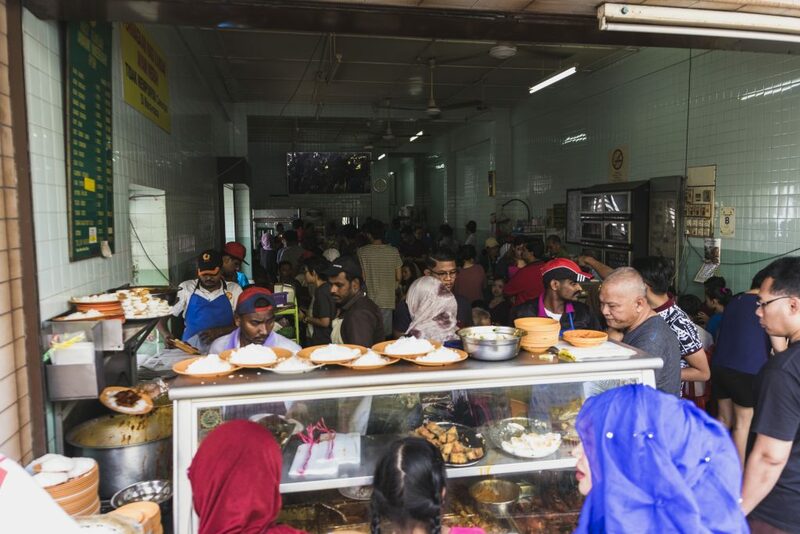 I think this is the longest queue we ever had for food in Ipoh. Literally a long one. The later you come after lunch, the longer the queue. We did it for 30 minutes or so. 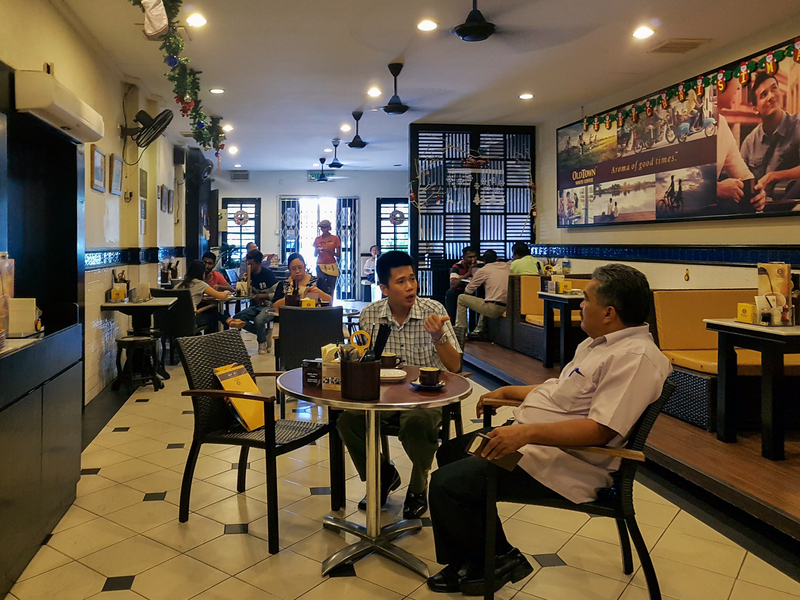 It’s the same concept as other coffee shops, the famous nasi kandar is operating separately from the Yong Suan Coffee Shop. 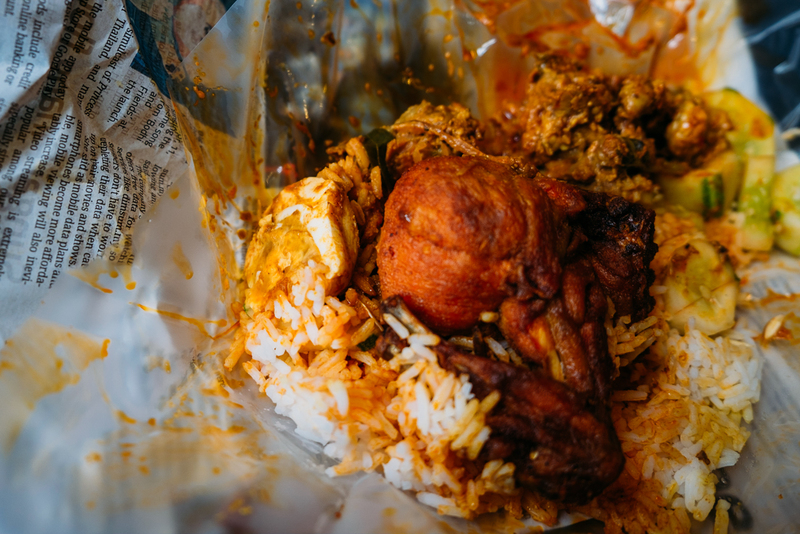 Thus the name, Nasi Kandar Ayam Merah Perniagaan. 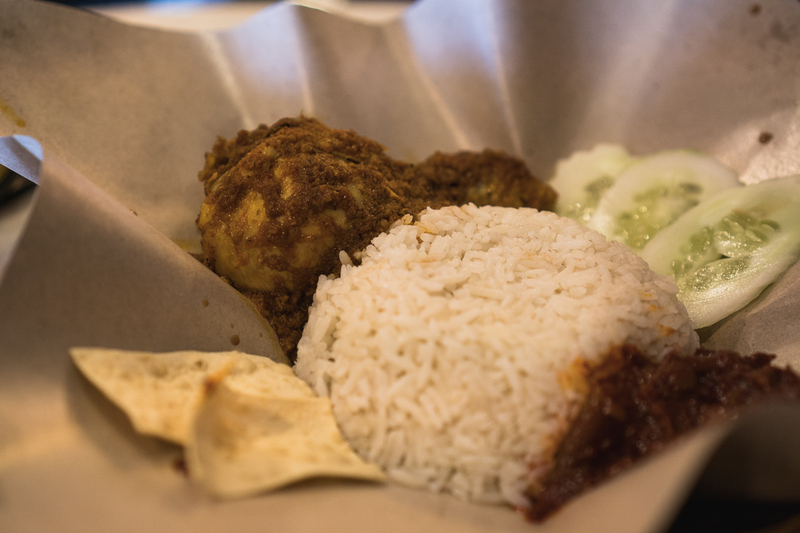 Famous for their ayam merah, and tasty rice with curry. Upon waiting, I saw the old man who’s part to serve the rice. It’s so magically hypnotizing to watch him scoop the rice from the big container with a plate. It’s one-time swing, one-time scoop. This is done continually without breaking. D*mn, how many portions they sold in one day? 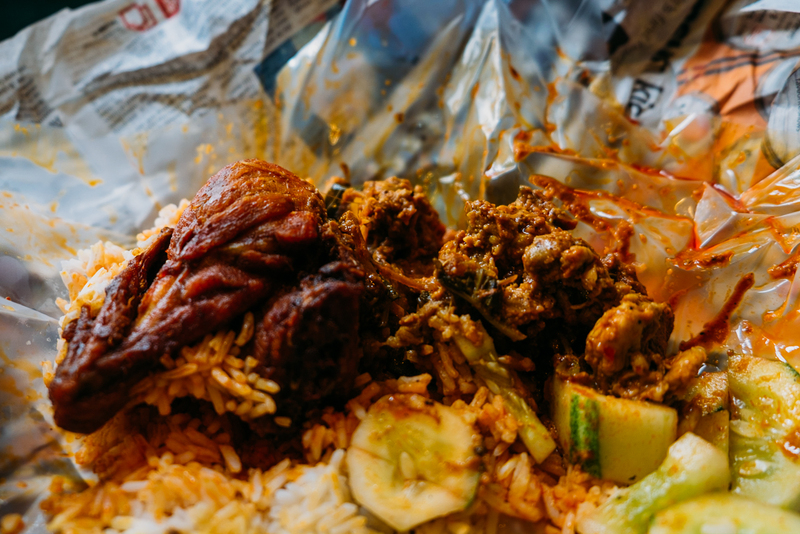 We bought the nasi kandar with fried chicken, minced meat, and egg for takeaway. Given the look at how crowded the place, we better go with a takeaway. If you want to eat there, you don’t have to queue with the takeaway, find a seat first and the waiter will take your order. How was it? 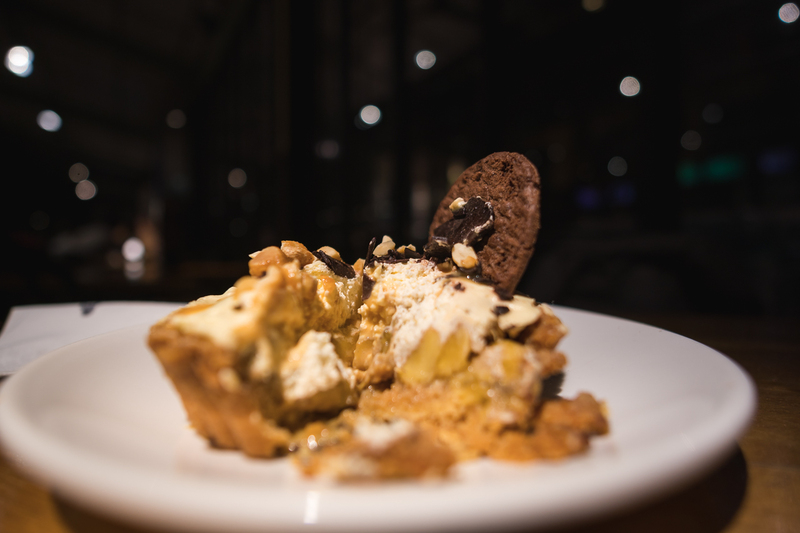 It’s surprisingly delicious, even though it looked quite a mess. 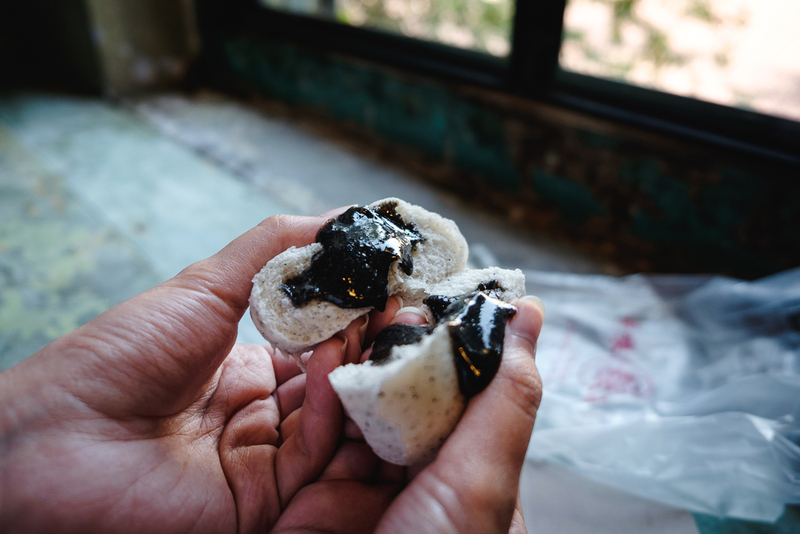 This kind of food, best to eat with your hand, not for the ‘pretty’ look. If you want to impress your date and maintain your image, this is not a good idea. But, if you want adventure, this is it. Go dirty! Open: 9.30 a.m. – 5 p.m. This is one kinda ‘mistake’ we did. 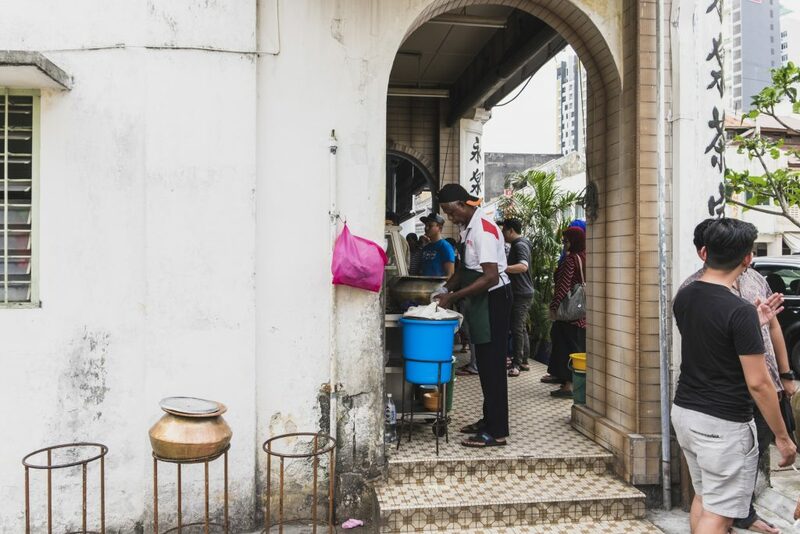 When checking out from Le Metrotel, after we bought the Nasi Kandar for takeaway, we also want to buy another food to try because we’re moving to the old town area again, to Sekeping Kong Heng. I went across the street to buy that attractive red color building selling salt baked chicken. I didn’t know they only sell in the whole piece. Either you buy one whole chicken or you don’t. I thought it’s like KFC or something where you can buy one piece of wing, one piece of chicken breast, no it is not. I once doubted to buy or not to buy. But then, whatever, I’m not gonna skip the experience. 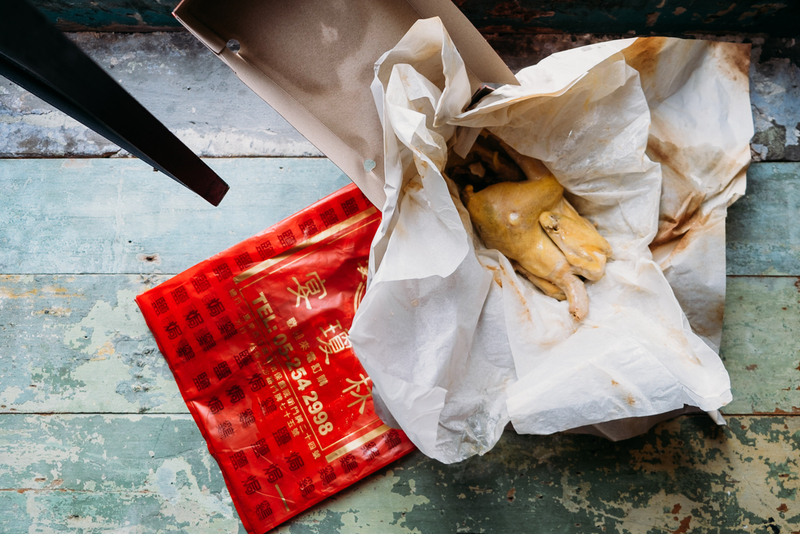 I mean, a whole salted chicken for the two of us? What can go wrong, right? No, it did not taste as disgusting as it might look. Well, a lot actually. Thank God, neither of us has an issue with blood pressure. It’s salty for sure, I’d say this is more like for sharing between 4-5 people. 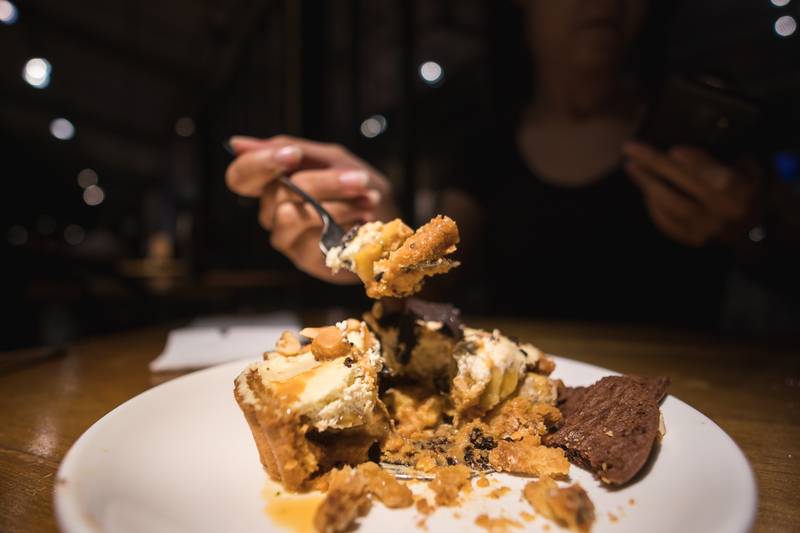 We had to push ourselves to the limit not wanting to waste any of this food. Too much salt in one session. Don’t get me wrong, it’s one very good chicken. 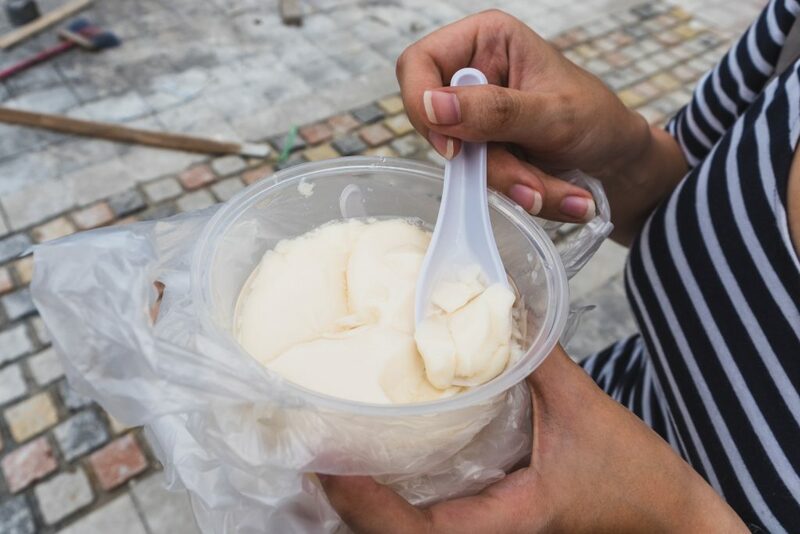 Best to eat when it’s hot. 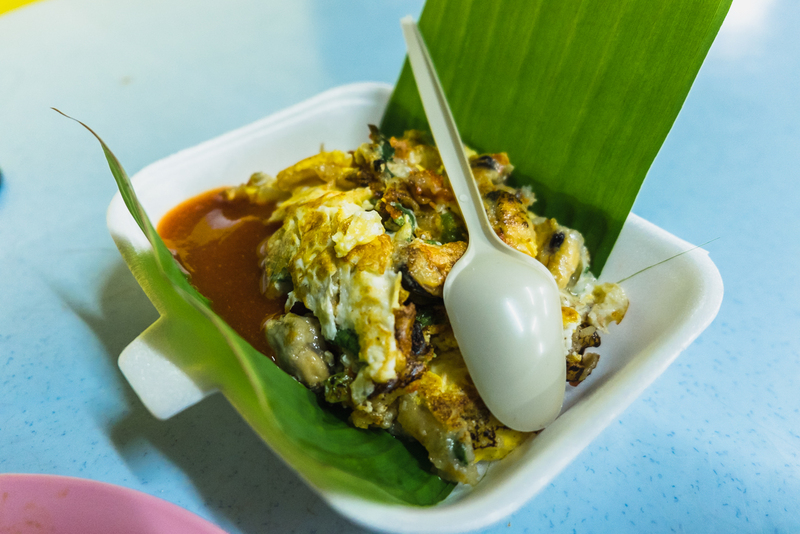 Hence why they also popular as a food people bought when visiting Ipoh. Thanks to that genius selling, only one price for one box, the buy time for one person took approximately 15 seconds. 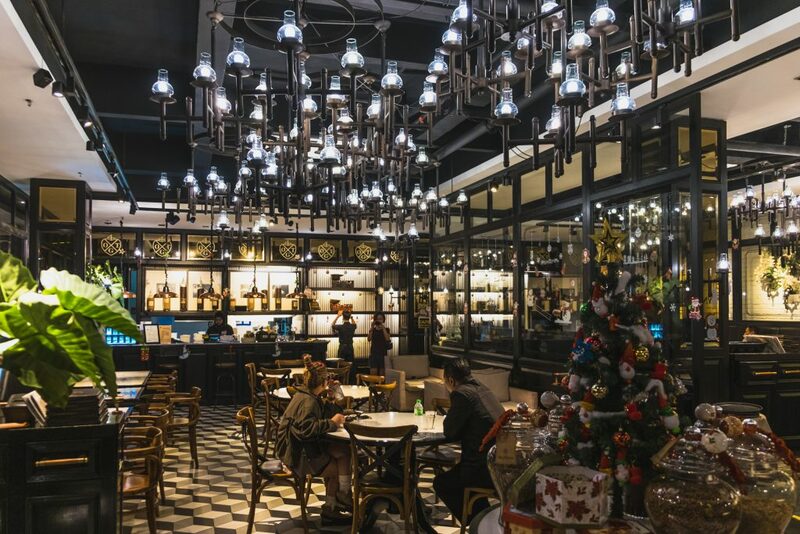 This beautiful looking restaurant at the Kong Heng square kinda hypes among locals. I’ve been told many times by some of our Uber drivers, plan b plan b plan b. 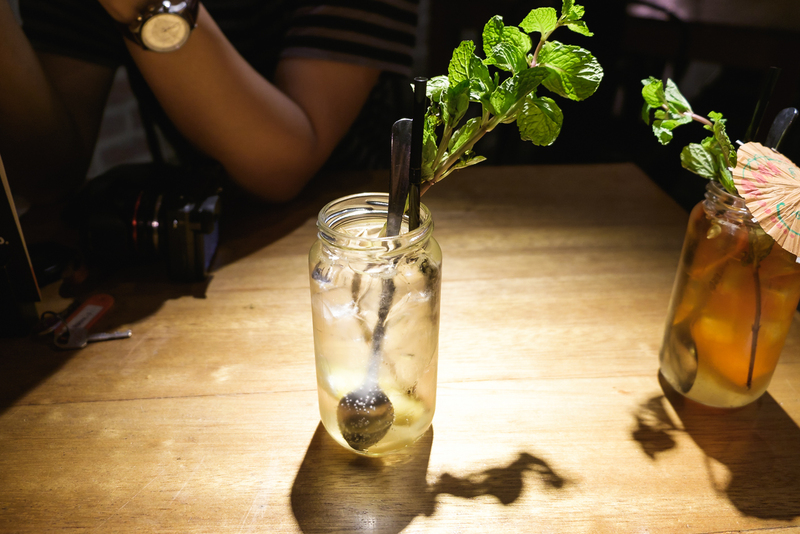 Well, we stayed at Sekeping Kong Heng on our last night anyway, why not give it a try? The most outstanding part about this place was the ambiance from this restaurant. It feels somewhat nostalgic and modern at the same time. 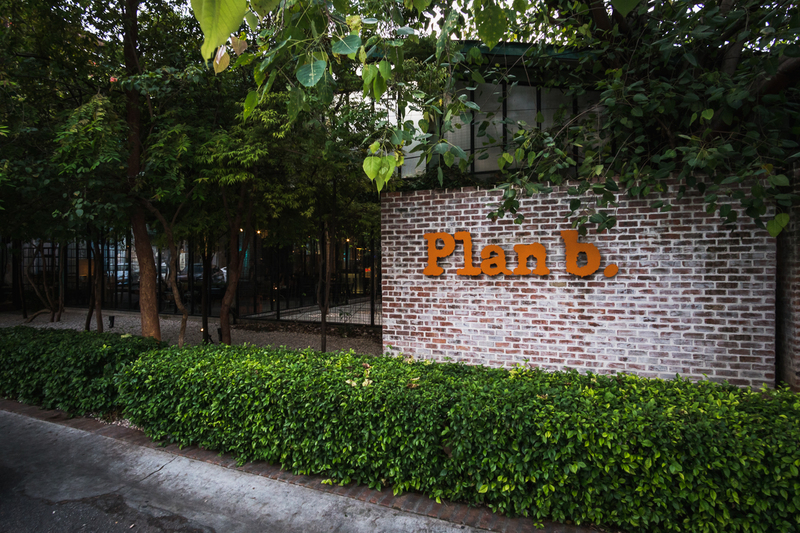 Plus, the plan b name sounds really like a plan. 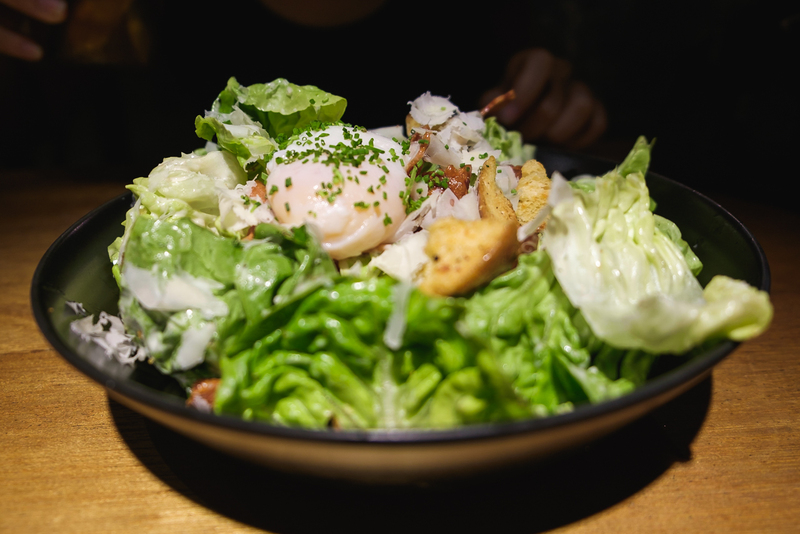 You know, if you sick of eating Chinese food, again and again, you can have your western food craving satisfied here. We ordered food not based on how they look or how they taste, this time based on their name and the information written on the menu. Yes, looking at the menu, you might get ‘confused’ because of their unique name. 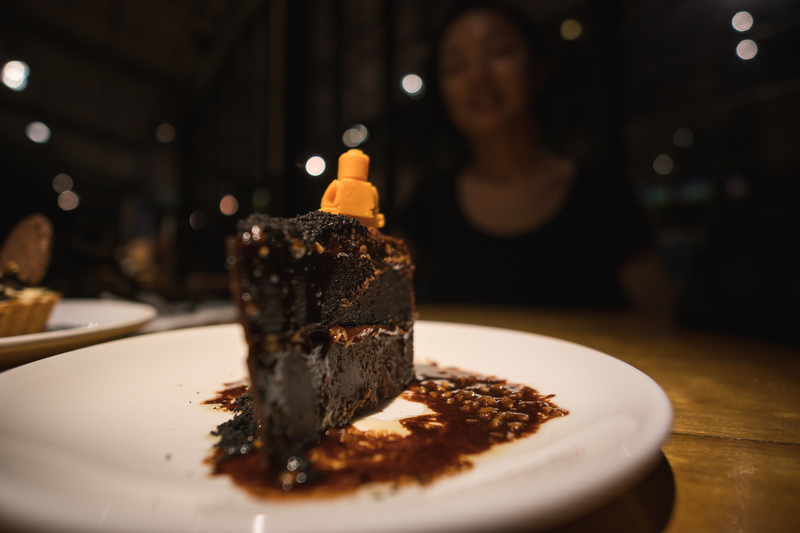 We had ‘HAIL, CAESAR’ and ‘THE NOTORIOUS B.I.G.’ for food; chocolate orange cake, Arnold Palmer lemon iced tea, and some other drink with lemon that we forgot the name. 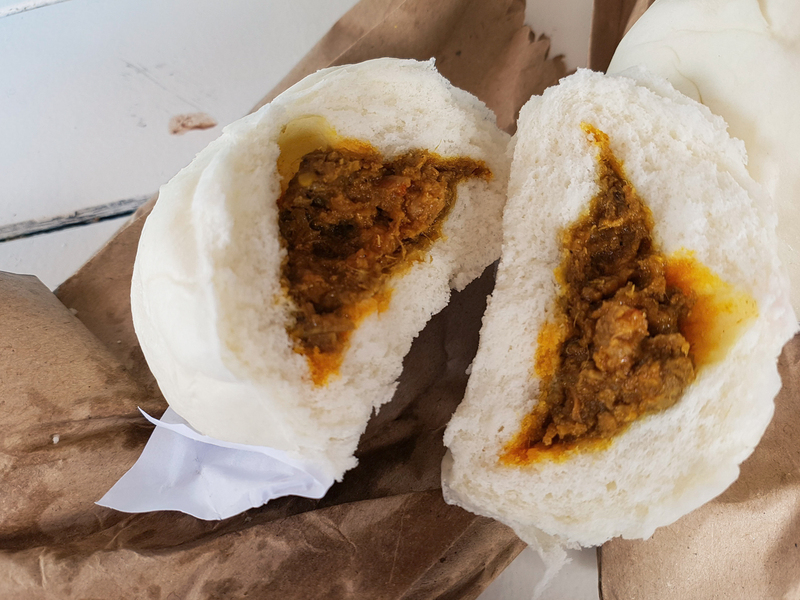 Okay, obviously, this is not the kind of food we want to try in Ipoh. But, it’s worth to try. Given the price, let’s just say, you pay for the atmosphere and place too. The food? I’d give 7 out of 10. The cake, though, nice. Open: 10 a.m – 11 p.m.
We didn’t really eat at this restaurant. 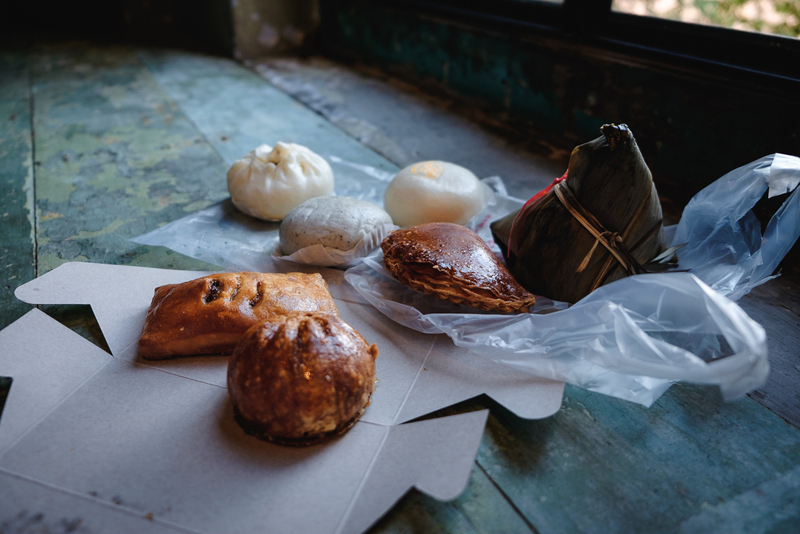 Steffia only bought some crusty puff, pao, zongzi (bak chang; how we call it), and iced coffee for a takeaway. 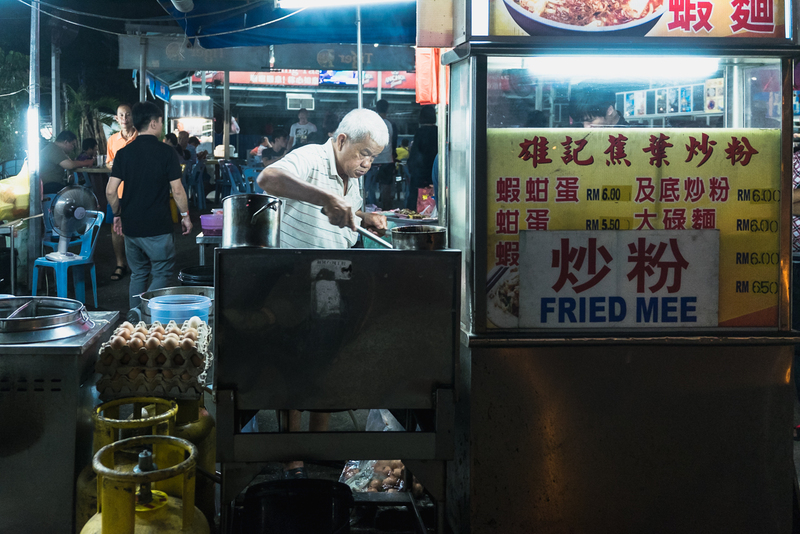 Food from the stalls that open in front of Kong Heng Restaurant. We’re having breakfast at our lovely rustic Sekeping Kong Heng hotel room. 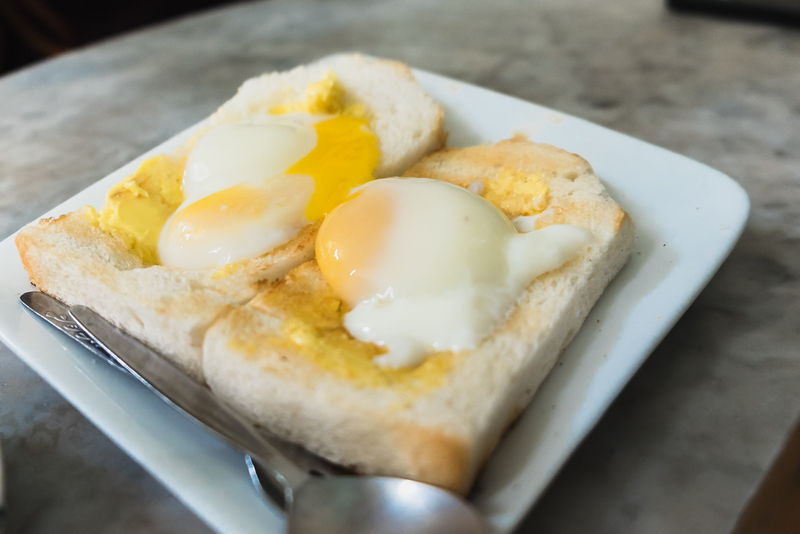 It’s actually a good breakfast, I dare to say it’s above mediocre. Still kinda full with only puffs and pao. 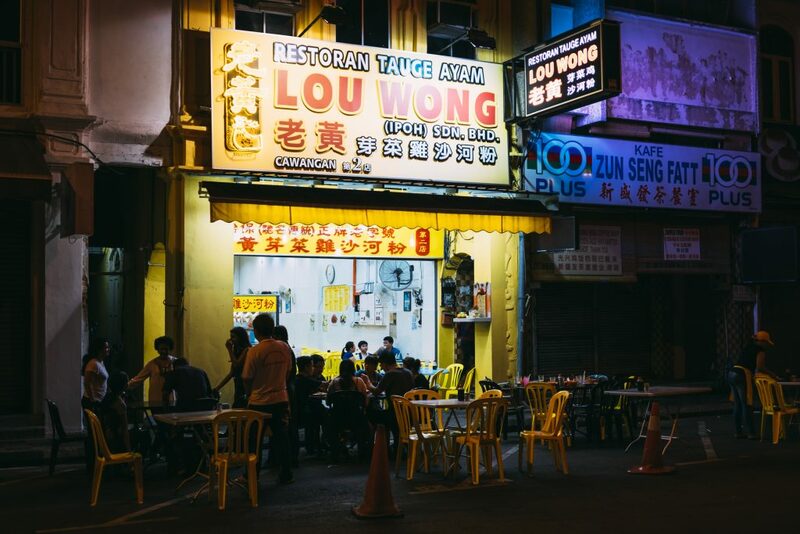 This restaurant, however, famous for pork satay and sar hor fun. Open: 6.30 a.m. – 5 p.m. 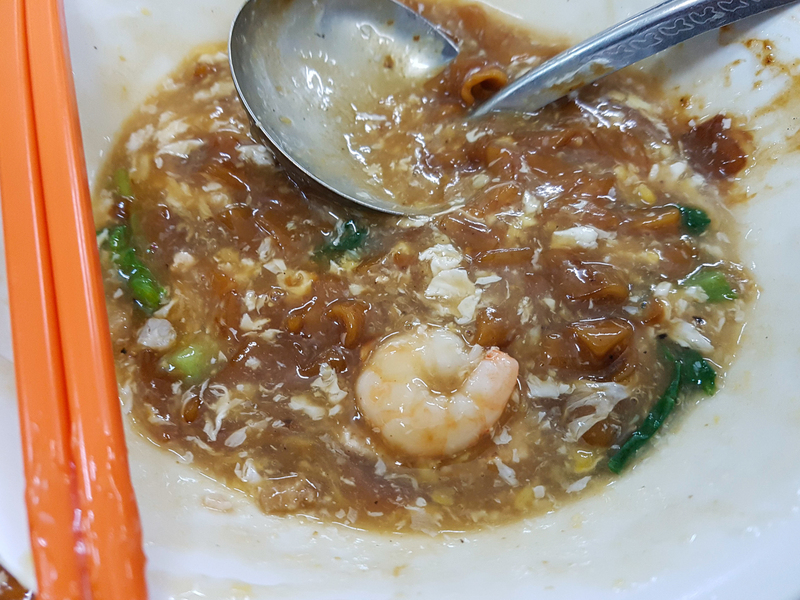 Spent: RM 21.80 (Meals from RM 4). I don’t really have much to say about this place. This is just our last stop before going back from Ipoh to KL. 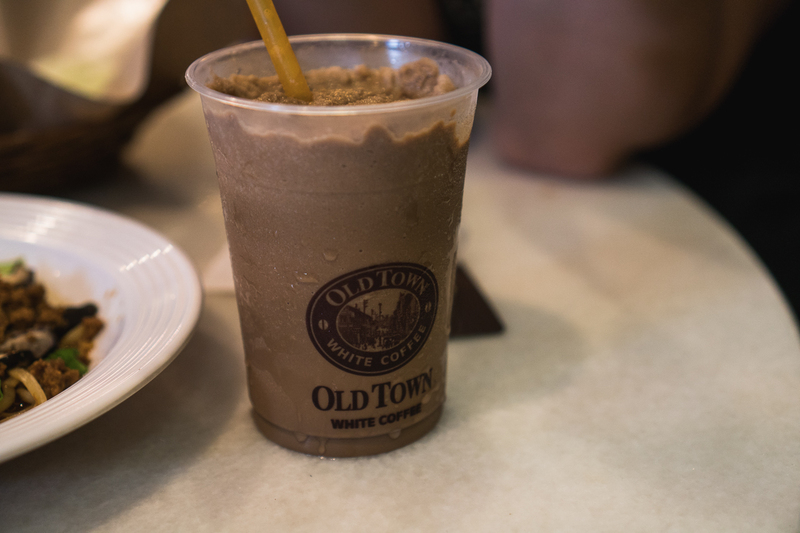 It’s just we felt like an obligation to try the Old Town White Coffee brand, to eat inside their restaurant. This is where they originated from anyway. We ordered the Dried Chilli Pan Mee, Nasi Lemak Combo with rendang (Beef), Hazelnut Ice Blend, and some Ais Kacang dessert, one of Malay specialty food. It’s not the best food, still acceptable. However, It’s not something that I would come back for. 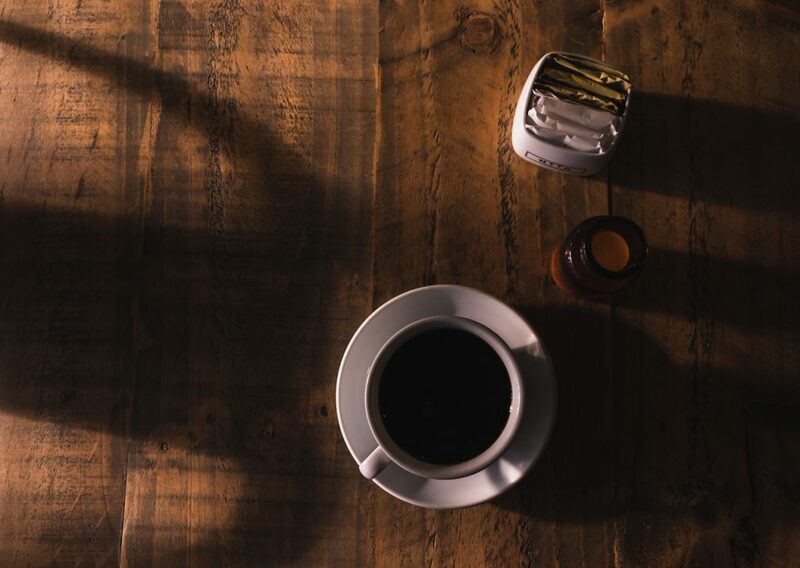 Open: 9 a.m. – 12.30 a.m.
And all the good things also come to an end. Ain’t that right, brothers and sisters? 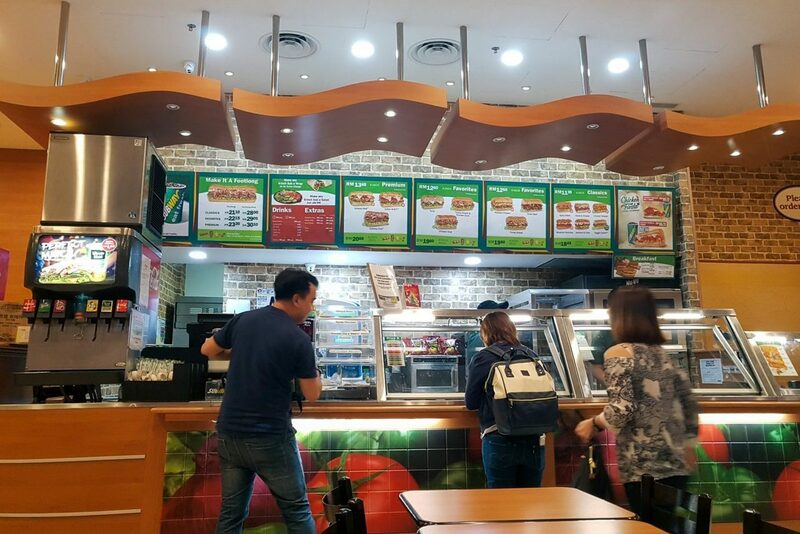 As for our last meal upon waiting for our delayed flight home from KLIA2, thanks to AirAsia for that delightful delay, we had dinner at the very popular Subway. 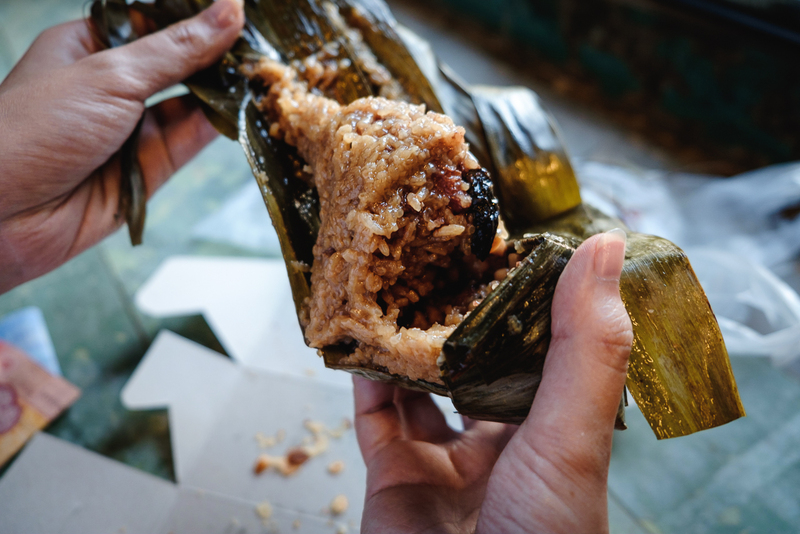 As Indonesian, this is something that makes us longing every time we travel abroad. 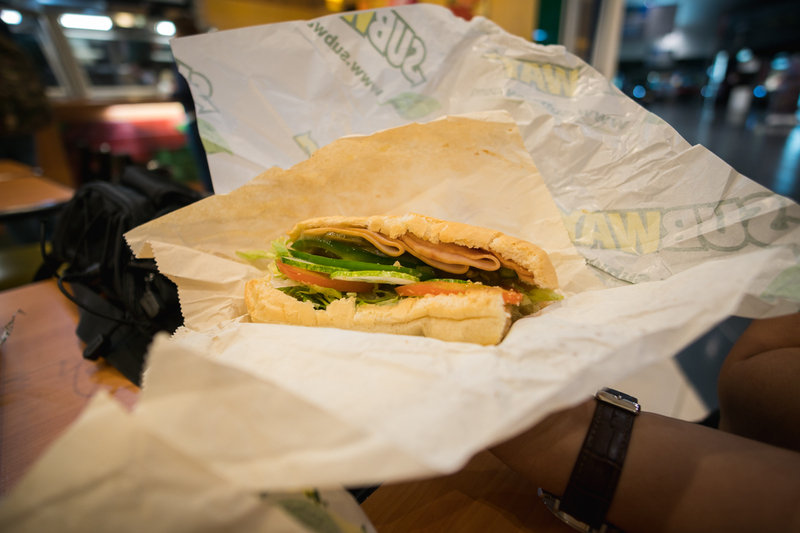 There’s no Subway sandwich in Indonesia, don’t know why. Sometimes you just want that eat that food from the popular fast food chain. Subway, please come to Indonesia. 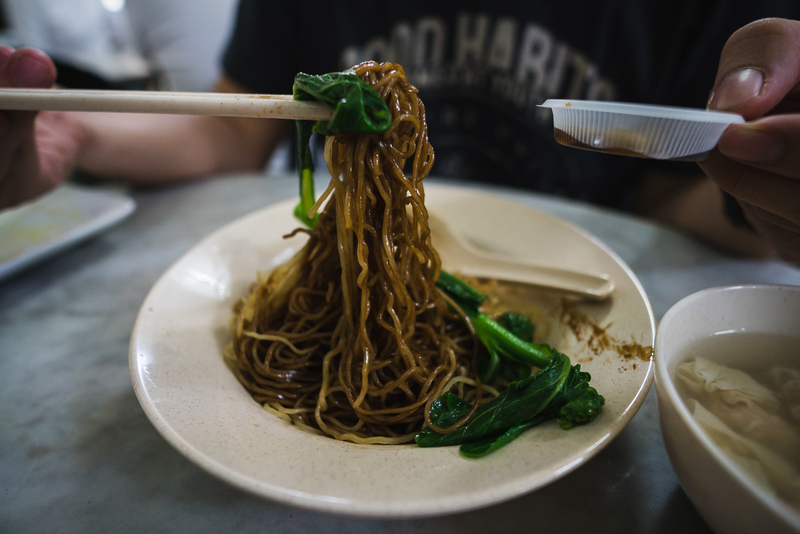 As a conclusion, we definitely think that Ipoh food was a great experience for us. 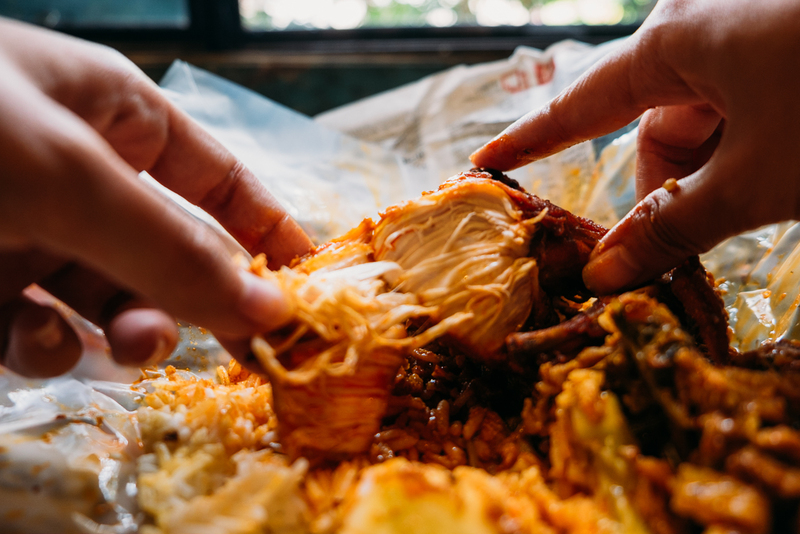 Given this is not the first time we had Malay special foods such as chicken rice, nasi kandar, curry mee; we still think each and every city has a unique difference for the same kind of food. 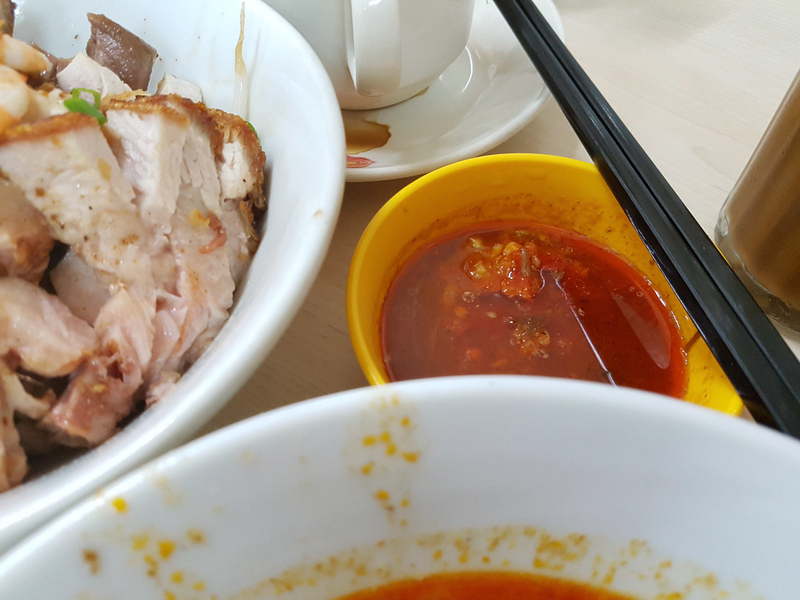 However, if I had to pick the top three best food from this Ipoh trip, I would say it’s the Nasi Ayam Pak Kong, Salted Chicken Aun Kheng Lim, and Xin Quan Fang Curry Mee. Definitely worth your money and your time. 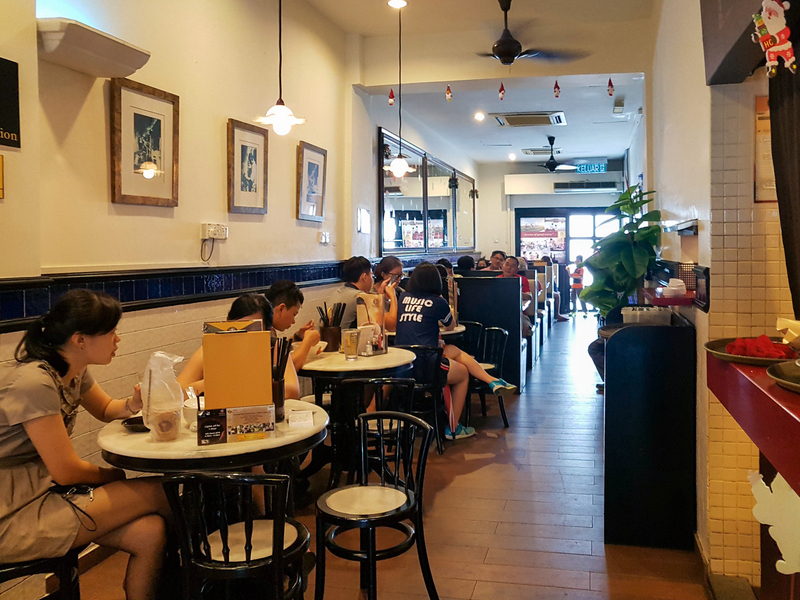 Don’t forget to have breakfast at Sin Yoon Loong and Nam Heong Coffee Shop, it’s the Kopitiam culture that you should try. 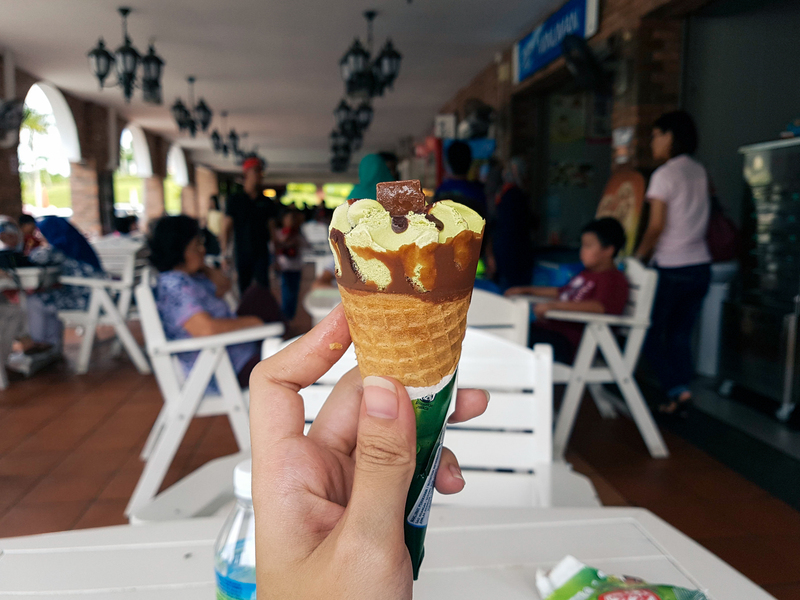 This will be the end of my sharing for culinary from Ipoh trip. 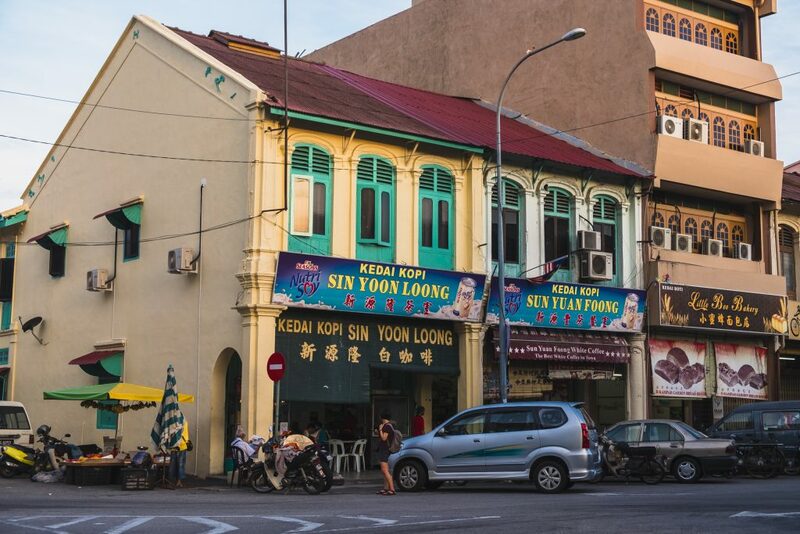 Let us know in the comment below if you ever been to Ipoh. 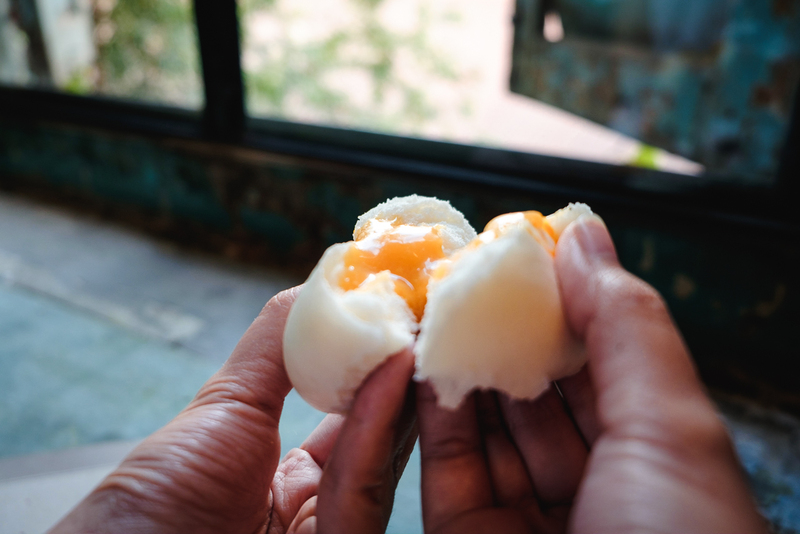 Please do share with us and our readers if you have any recommendation where to eat and experience Ipoh in a more ‘local’ way. Don’t forget to subscribe to our newsletter. Until next post! Bye!